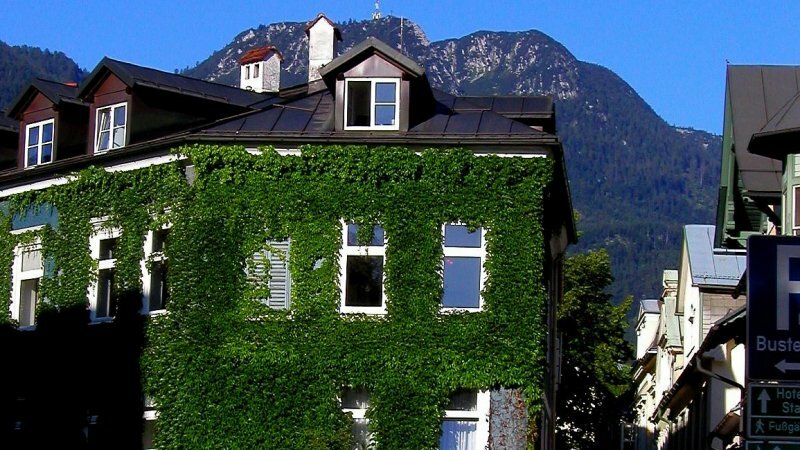 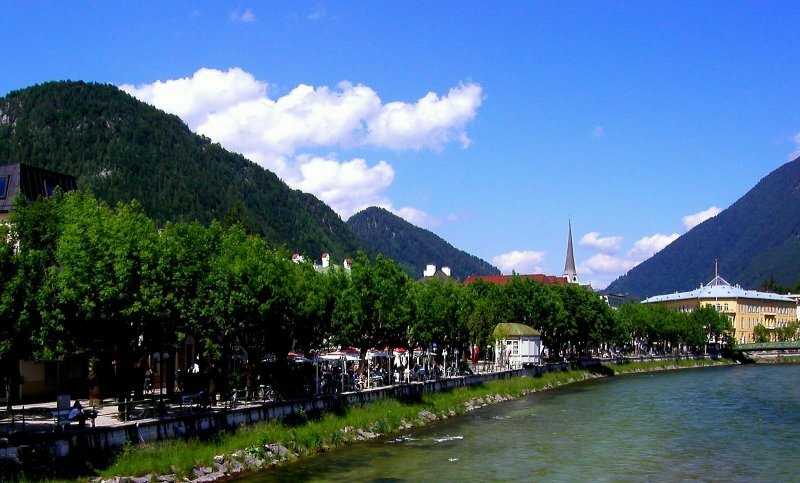 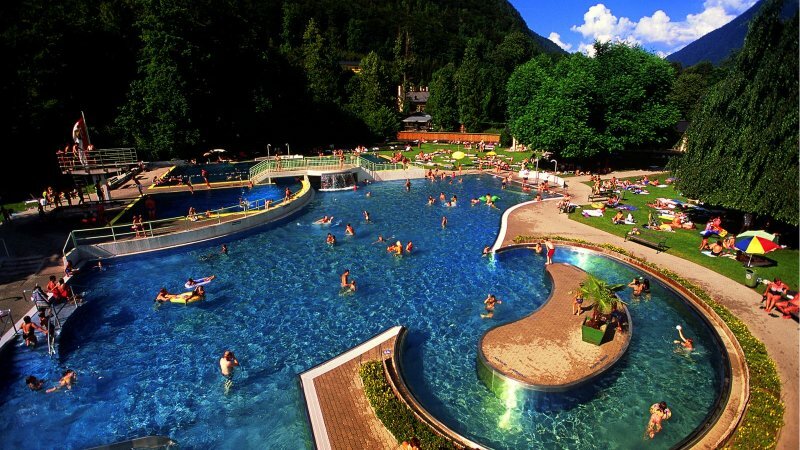 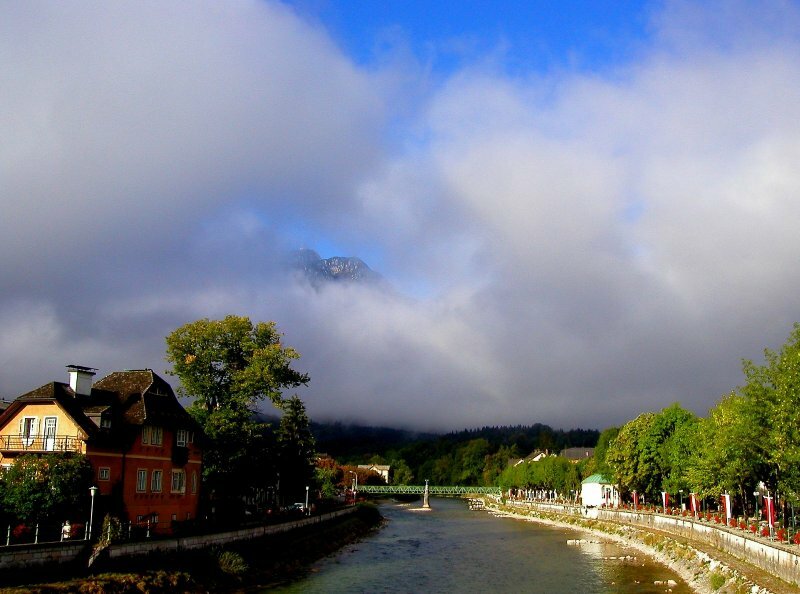 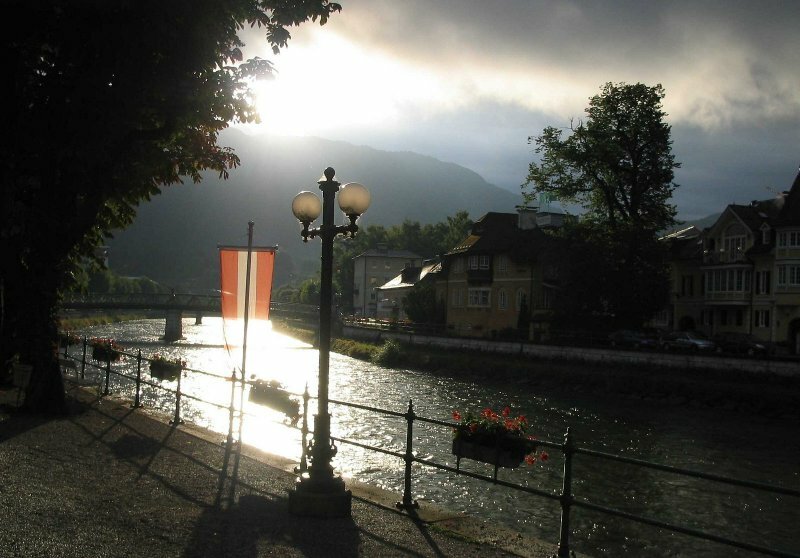 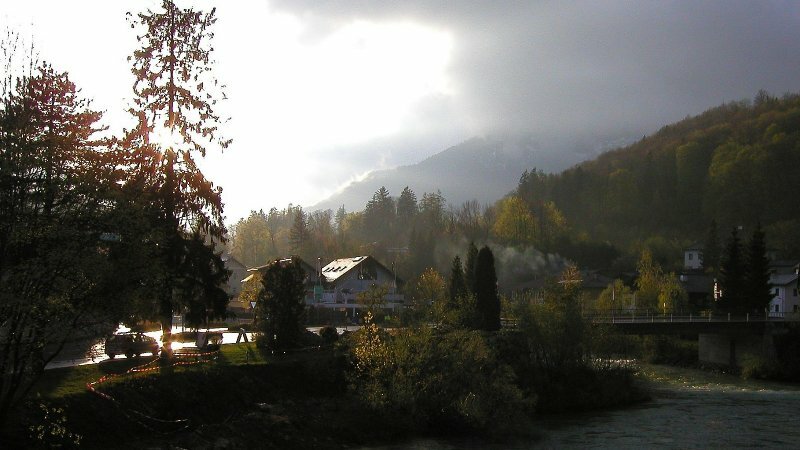 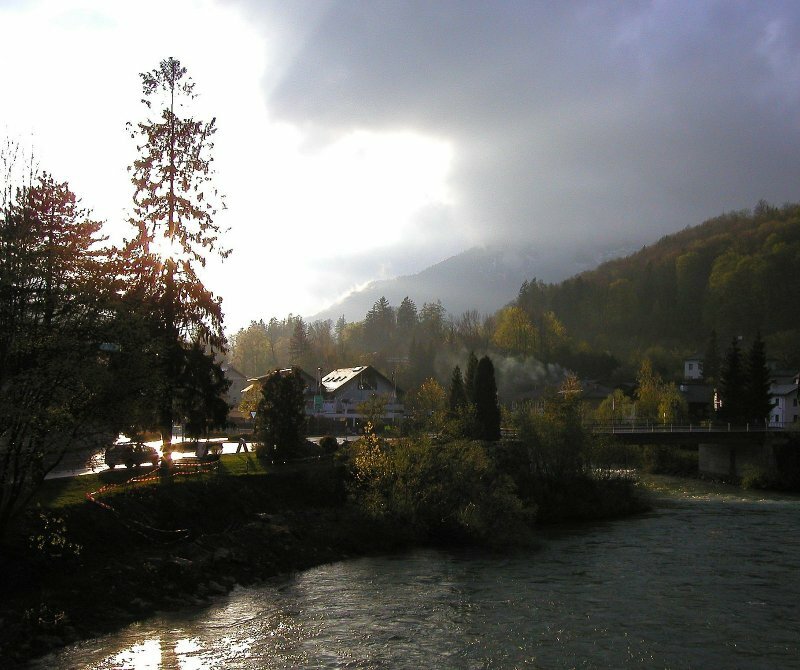 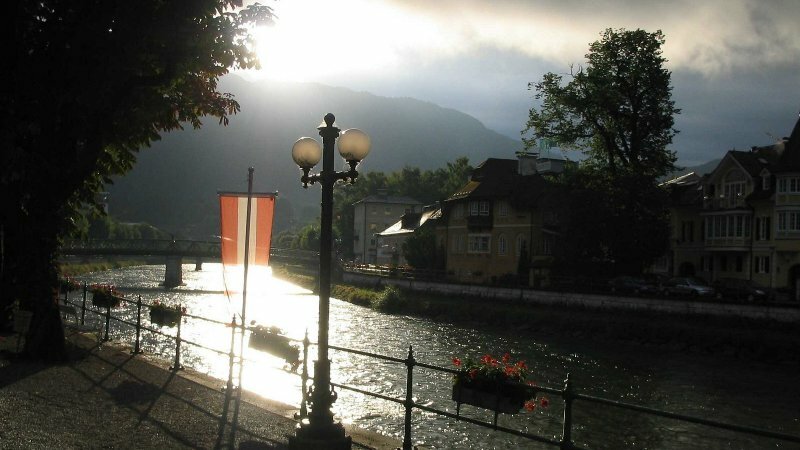 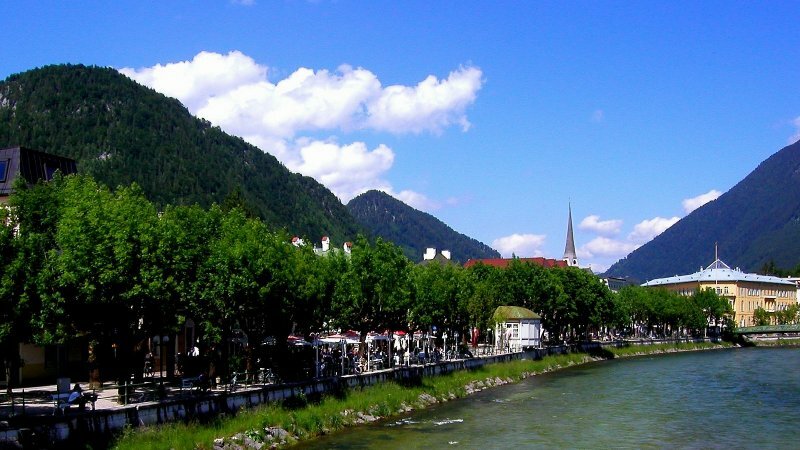 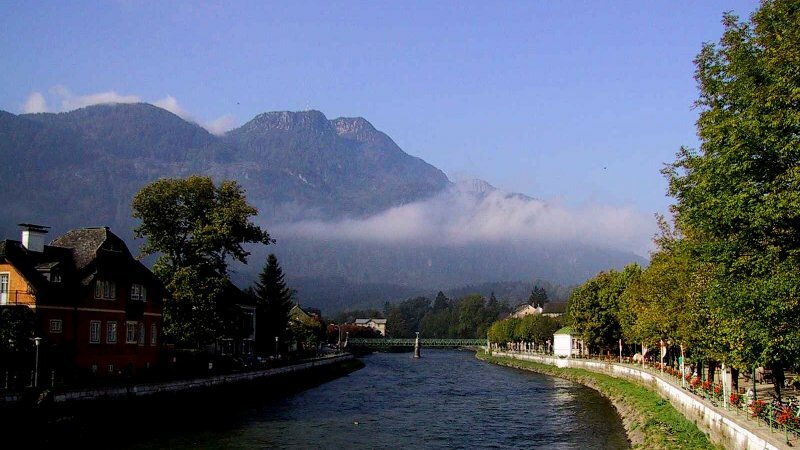 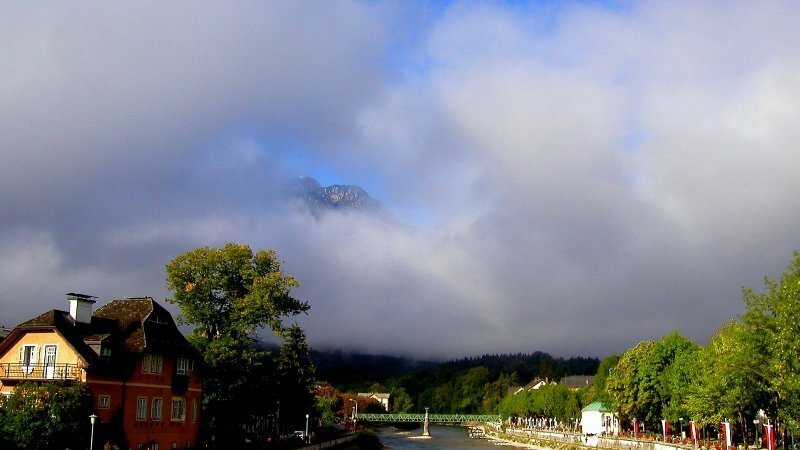 The health resort of Bad Ischl is located at the heart of the Salzkammergut area, surrounded by the rivers Traun and Ischl. 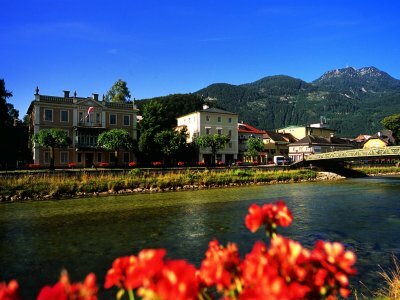 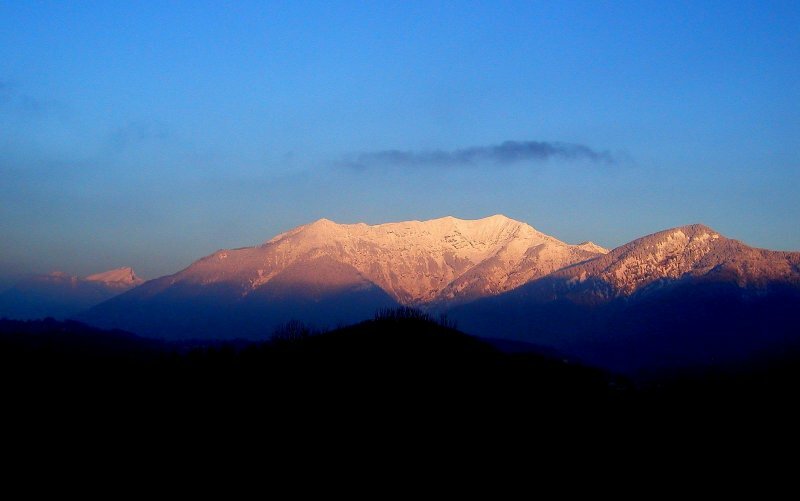 Already in the 19th century, the emperor appreciated the unique location and the beautiful nature and spent a lot of time at his summer residence in this charming village. 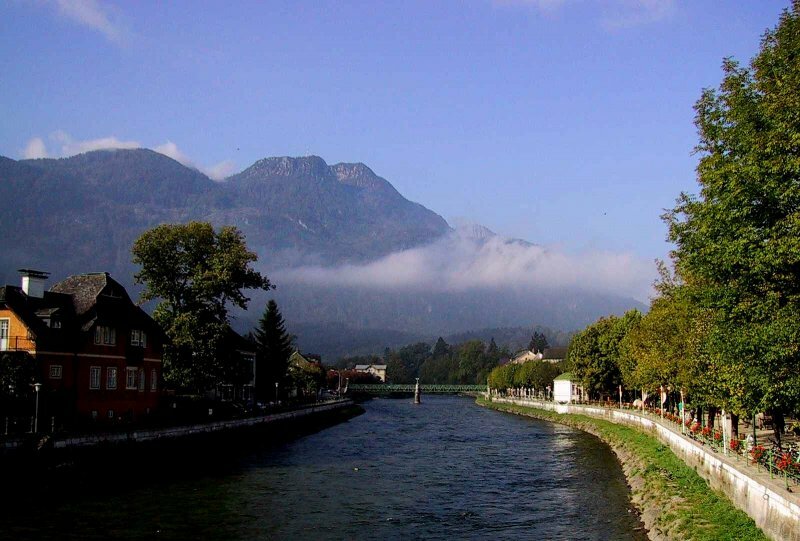 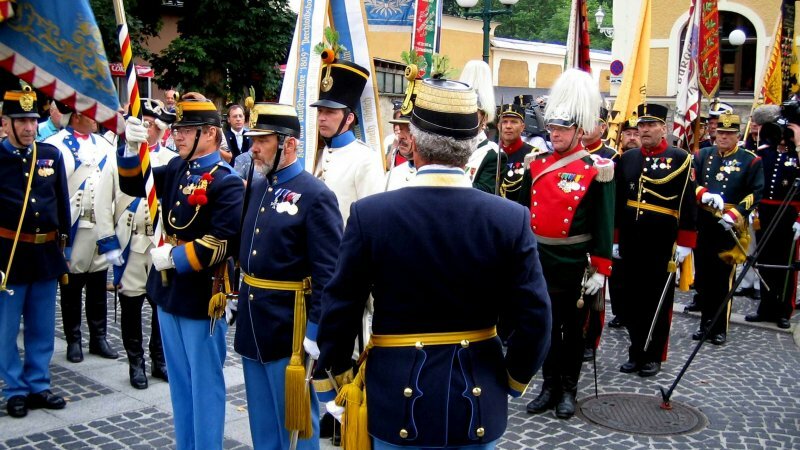 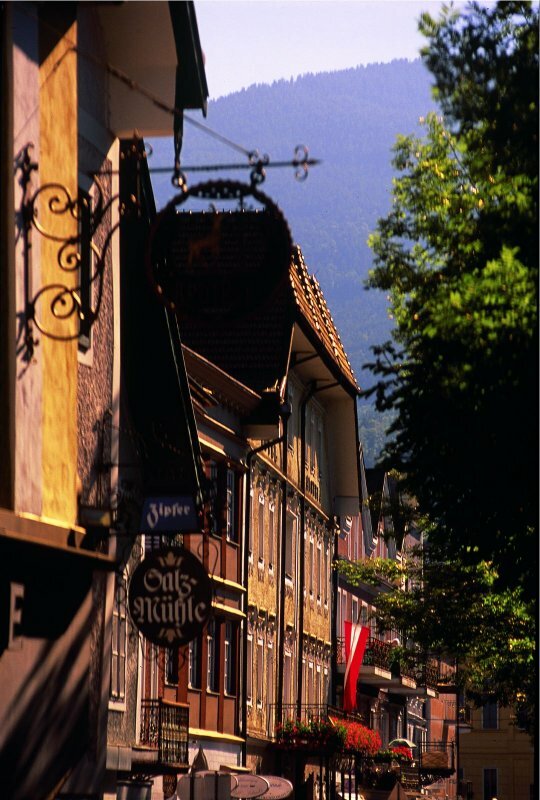 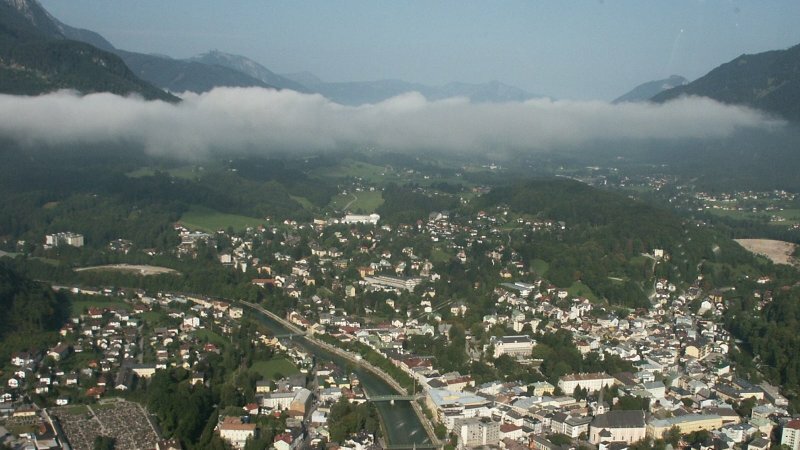 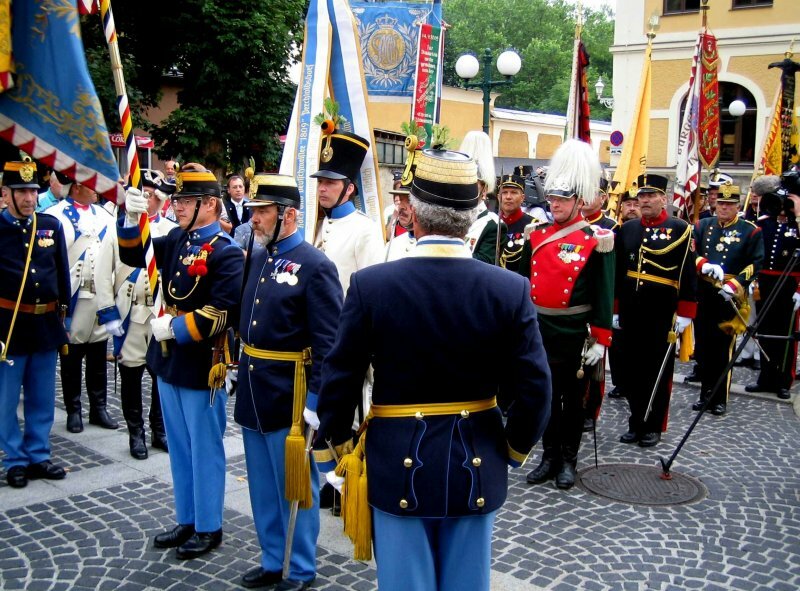 This is why Bad Ischl is also called the Emperor’s city - ”Kaiserstaft” . 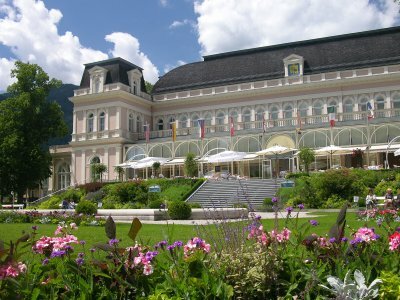 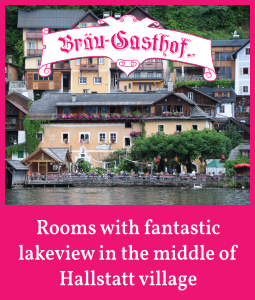 Still today guests have the opportunity to get pampered like an emperor or empress in one of the great spa hotels or the Salzkammergut thermal bath. 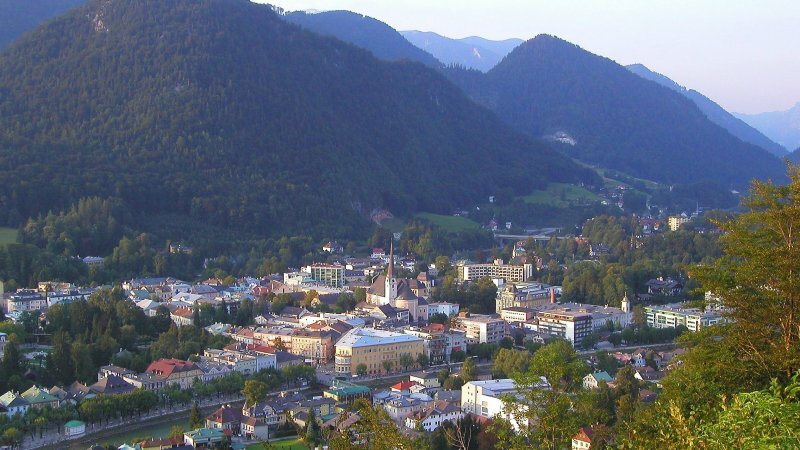 Bad Ischl offers not only a great diversity of spa facilities but there is also the Katrin railway, which takes you to numerous hiking paths in the picturesque Salzkammergut area. 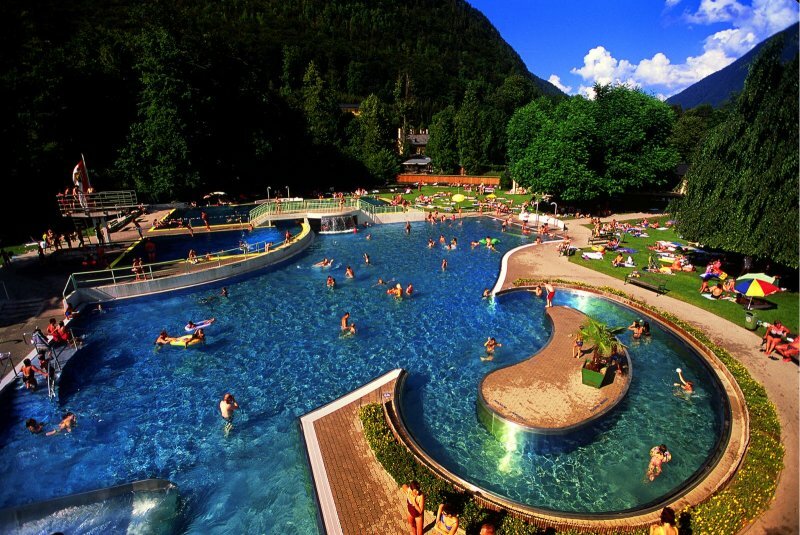 There is also an adventure outdoor pool, via ferratas and many offers for active relaxation in a the beautiful nature. 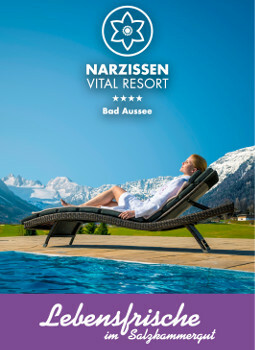 In winter, the place turns into a little winter paradise with numerous leisure time and spa options. 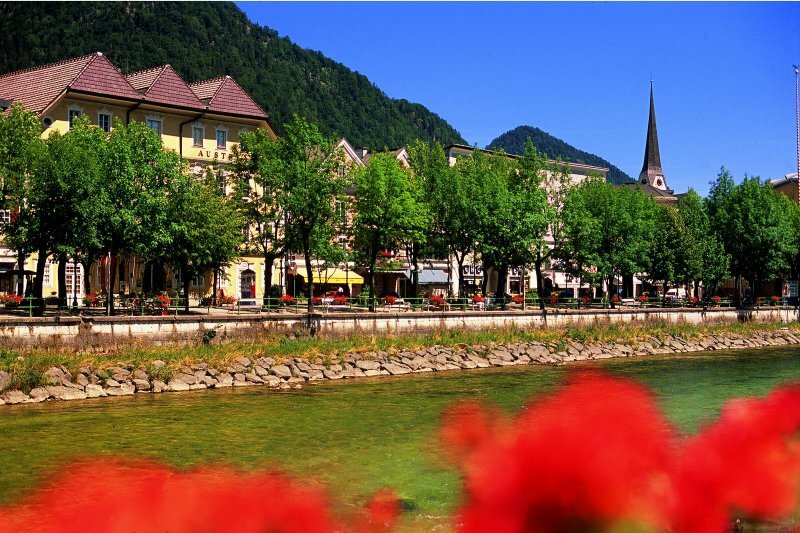 In 18 days through one of Europe’s most enchanting landscapes. 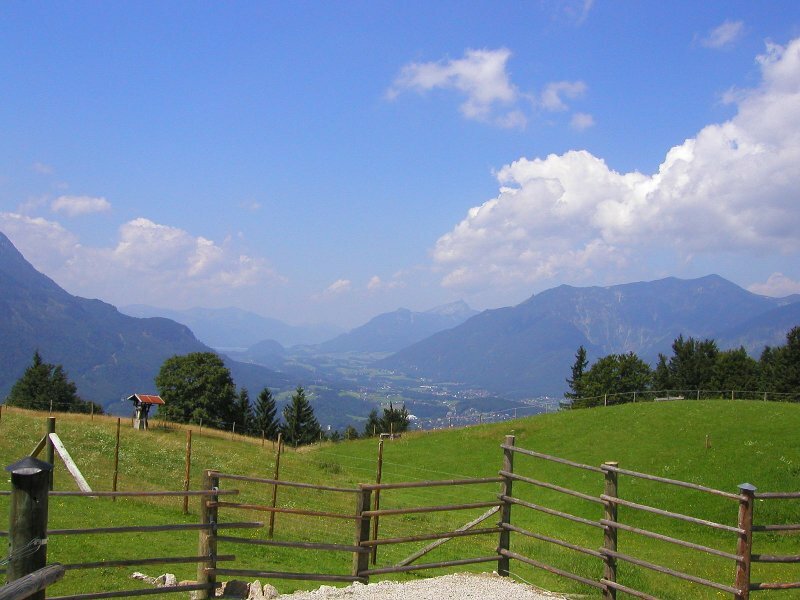 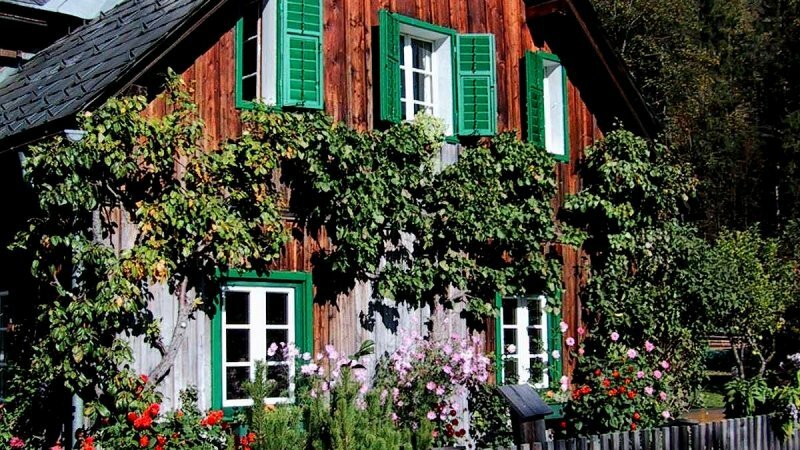 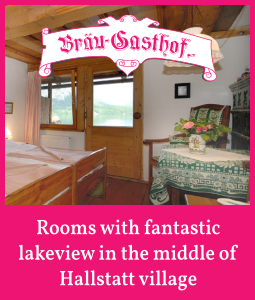 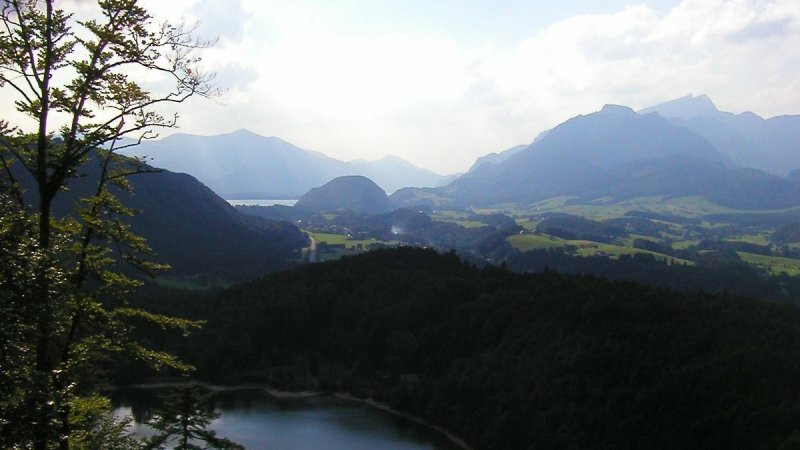 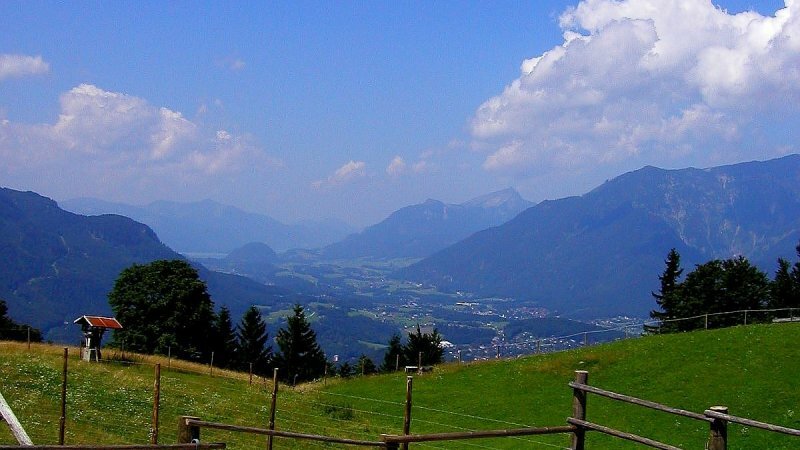 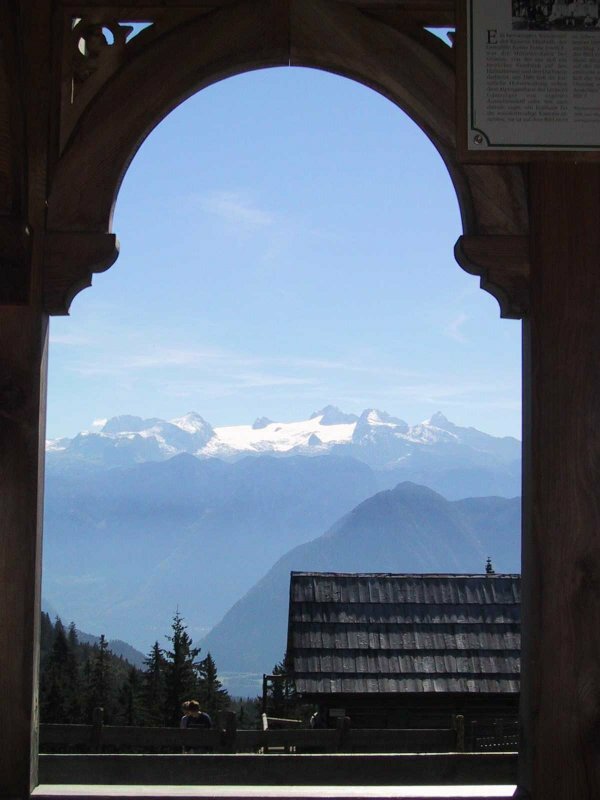 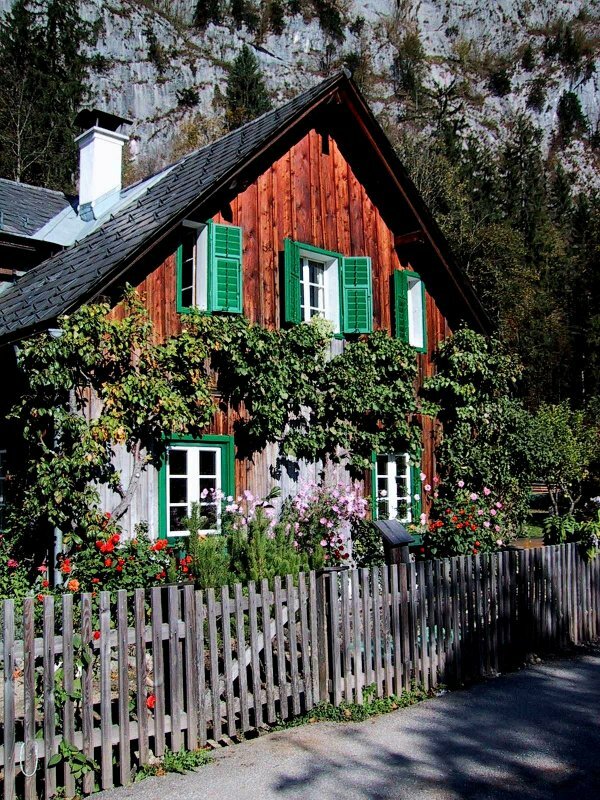 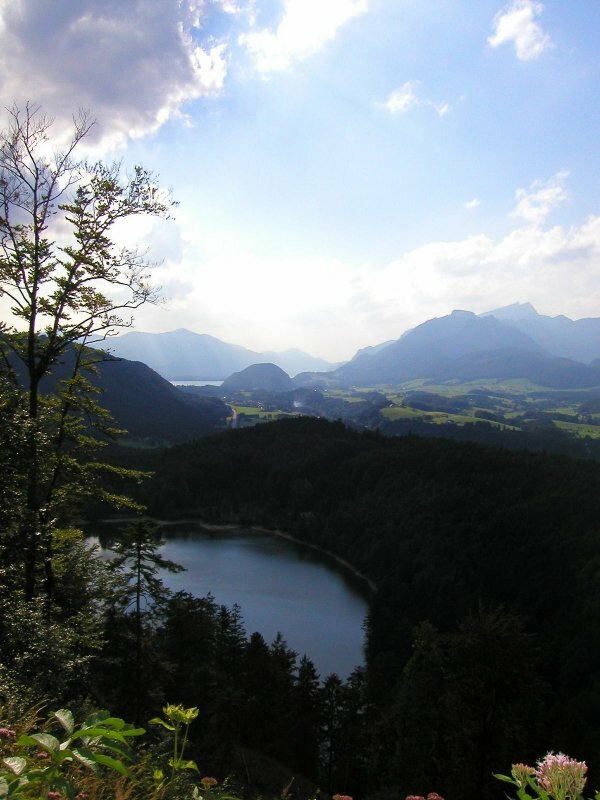 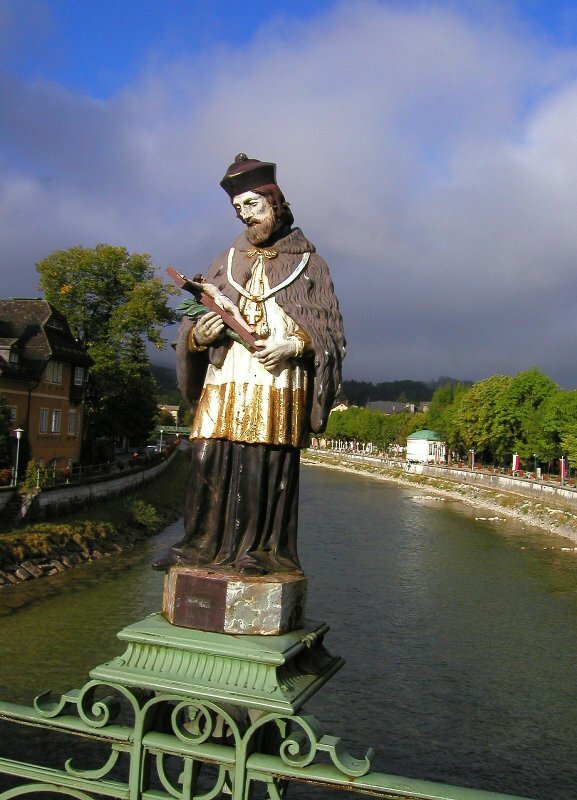 Hike with us along the Salzkammergut distant hiking trail through Austria’s 10th state! 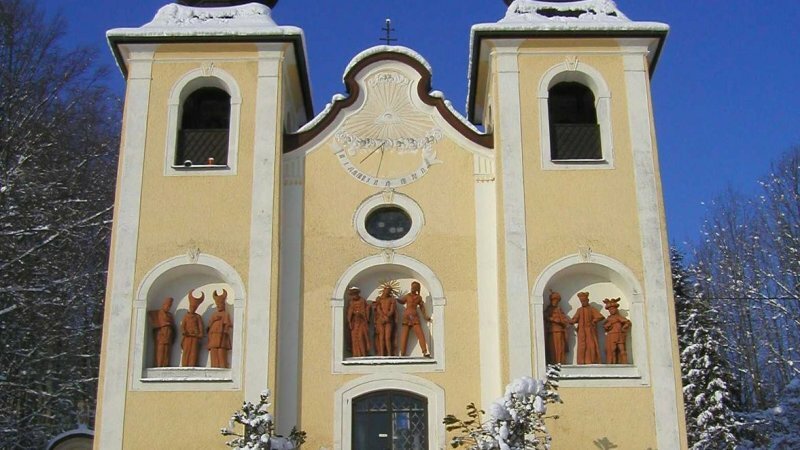 The pump room of Ischl - the “Trinkhalle” was built between 1829–1831 in the classical style. 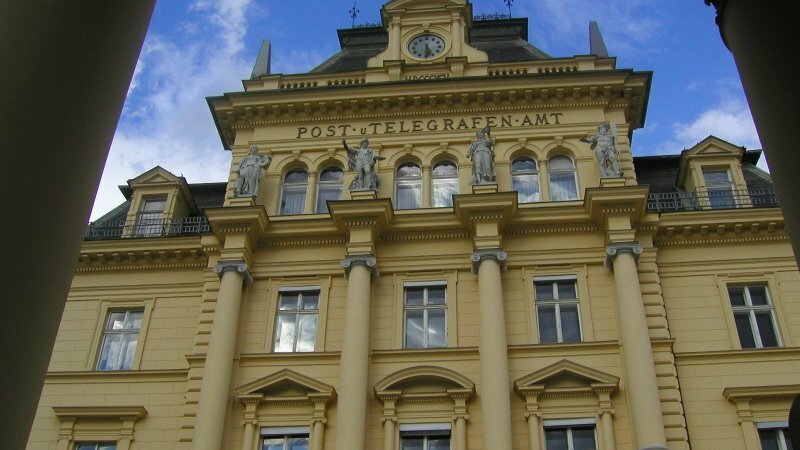 The colonnade and chessboard frieze along the cornice are fine examples of this period. 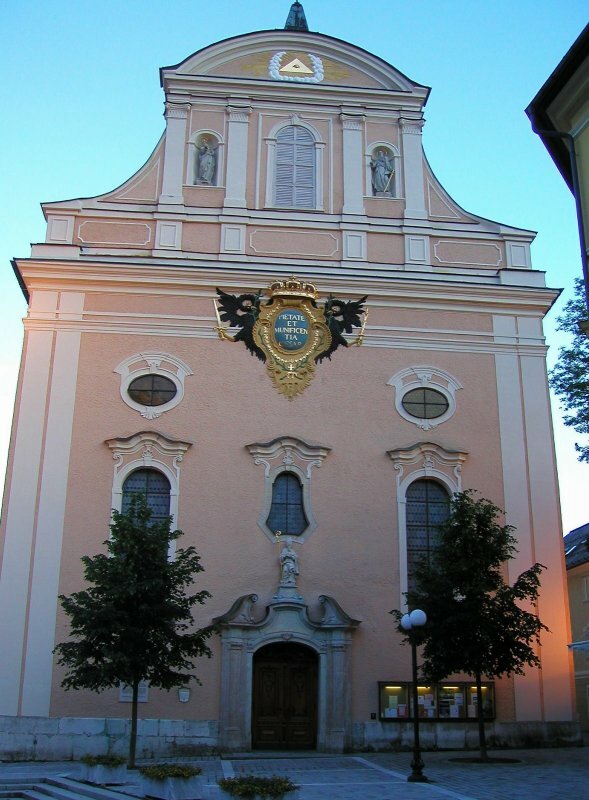 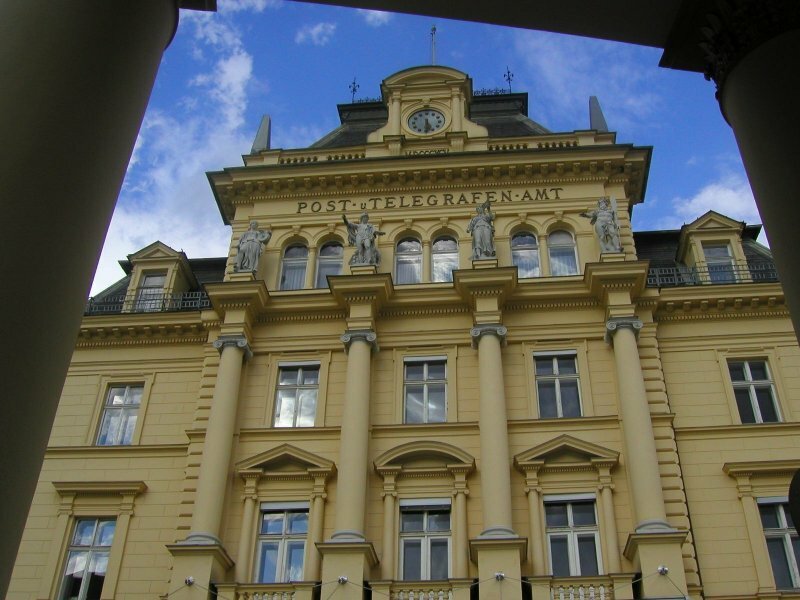 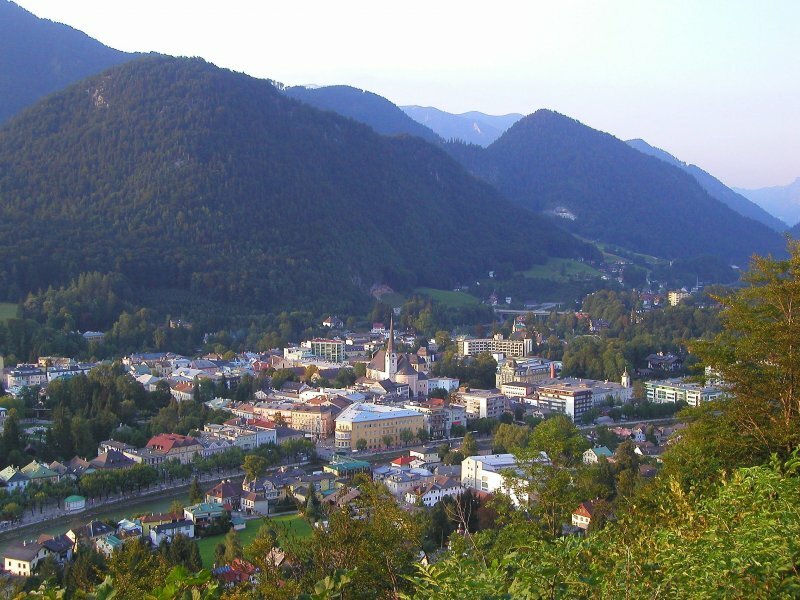 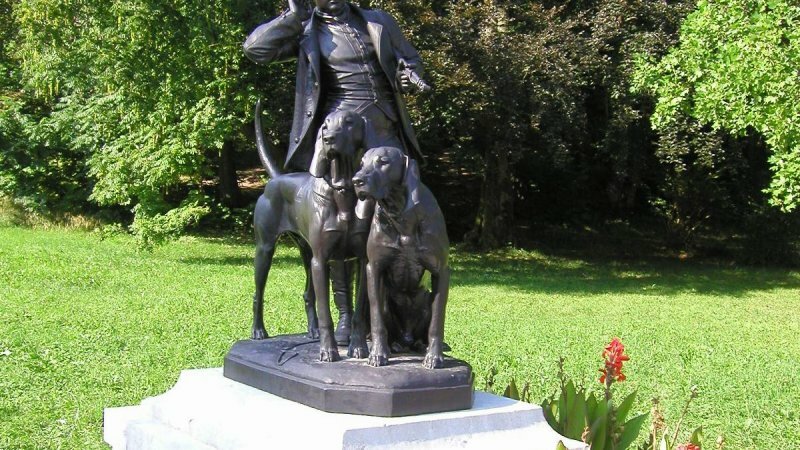 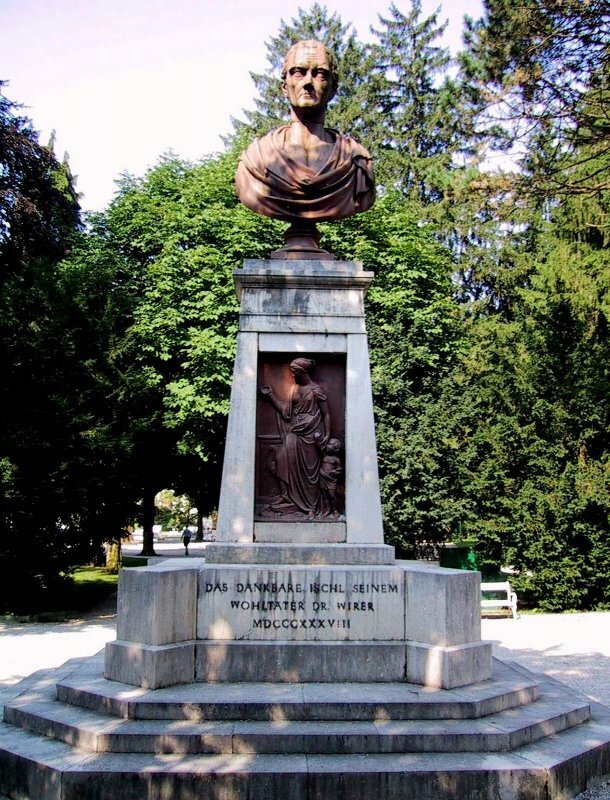 Bad Ischl played a large role in the life of Johann Nestroy. 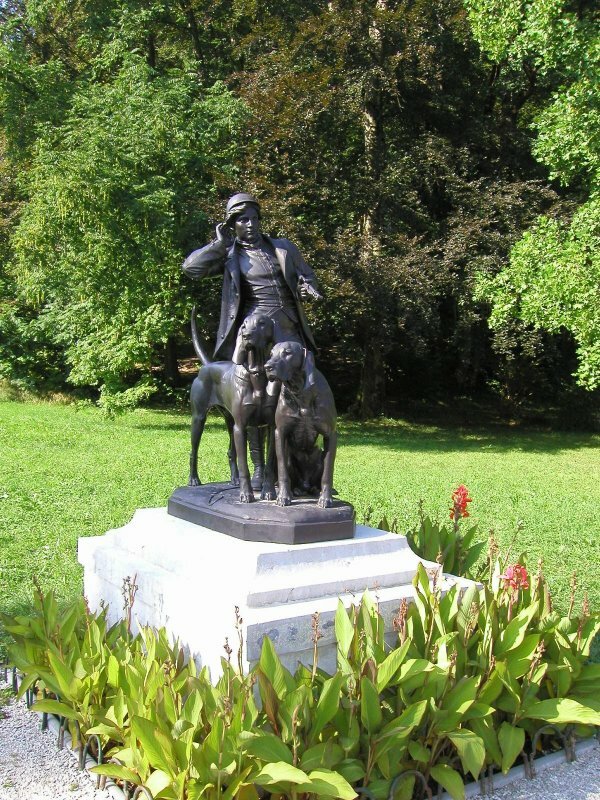 From 1845 he became a regular visitor to the town. 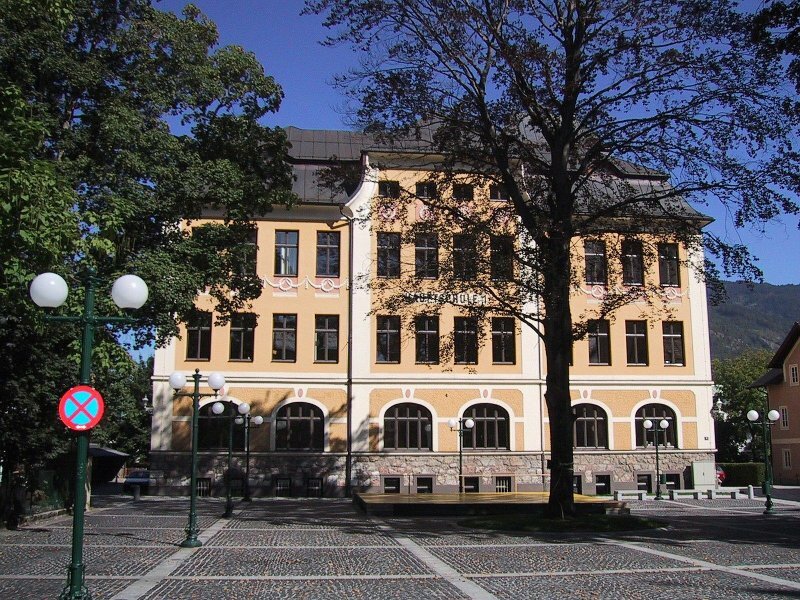 In 1859 he bought Nestroy Villa which still stands to this day. 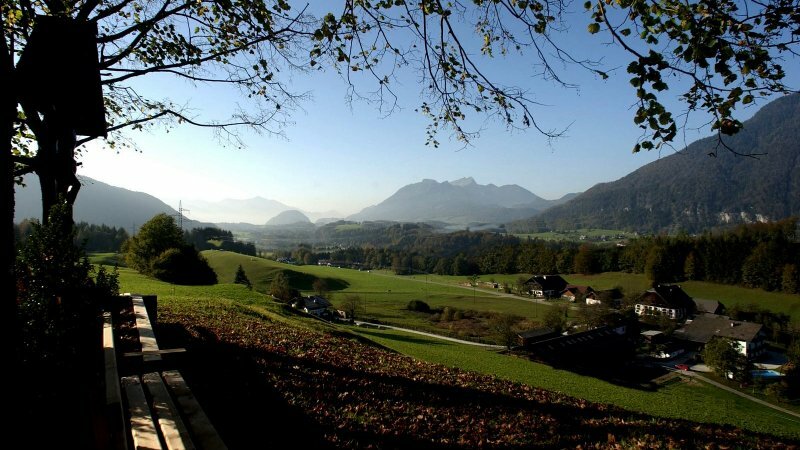 The ruined Wildenstein castle dominates the district of Kaltenbach and has a fantastic view over the town. 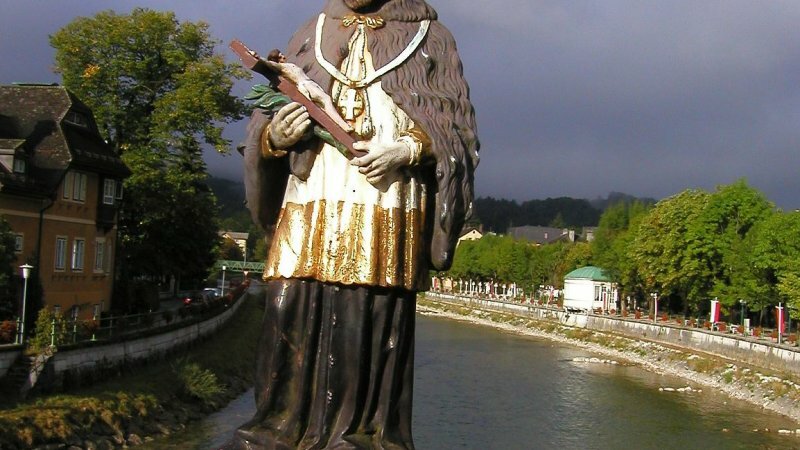 First mentioned in 1392 as “Veste Wildenstein”. 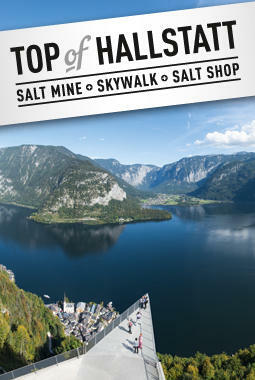 The Siriuskogl hill and the Franz-Josef tower form one of the most beautiful viewpoints in the inner Salzkammergut. 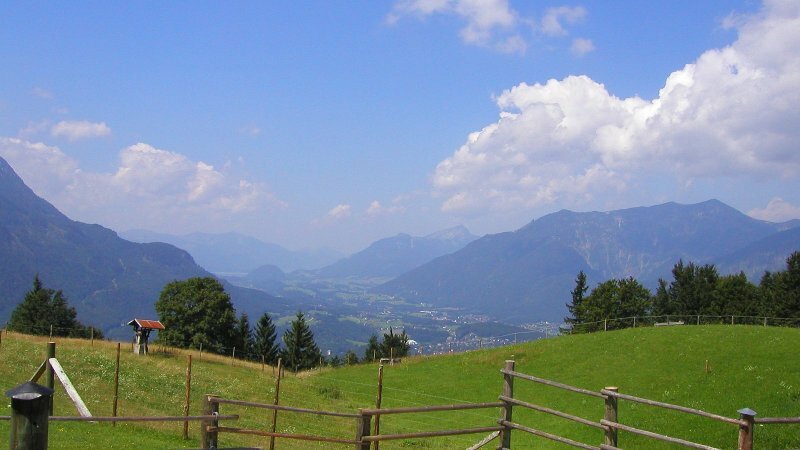 A 20 minute walk from the town centre and along a woodland path. 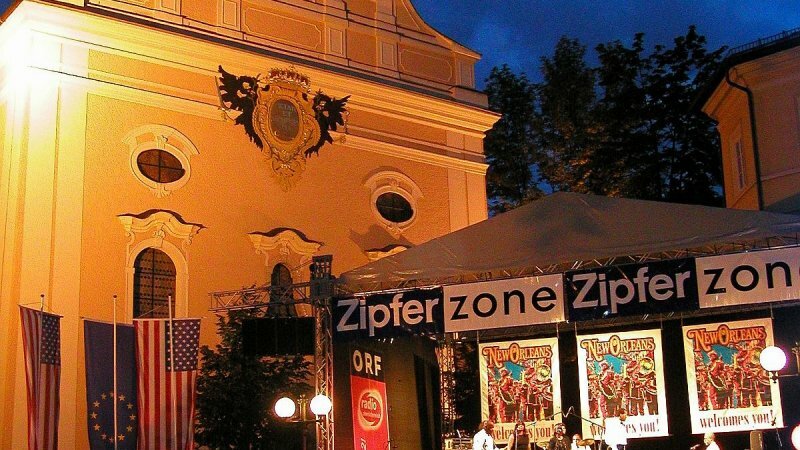 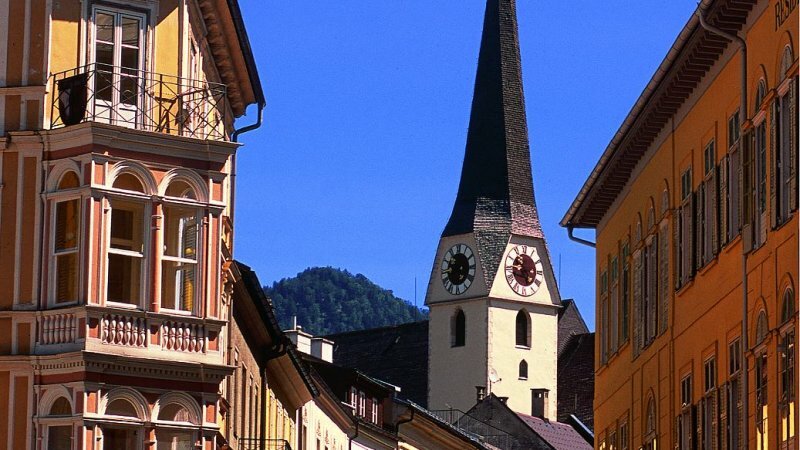 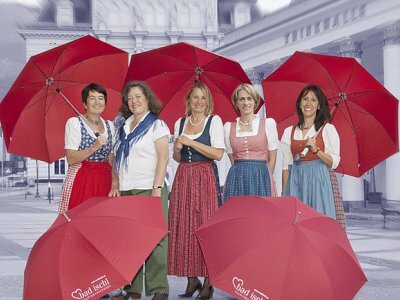 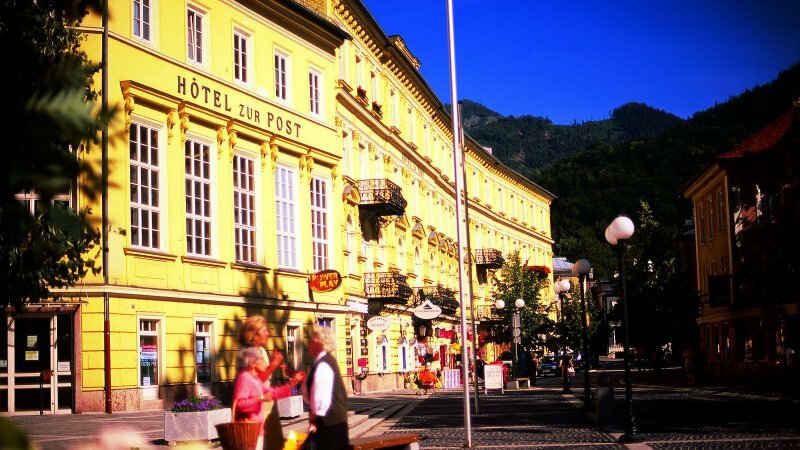 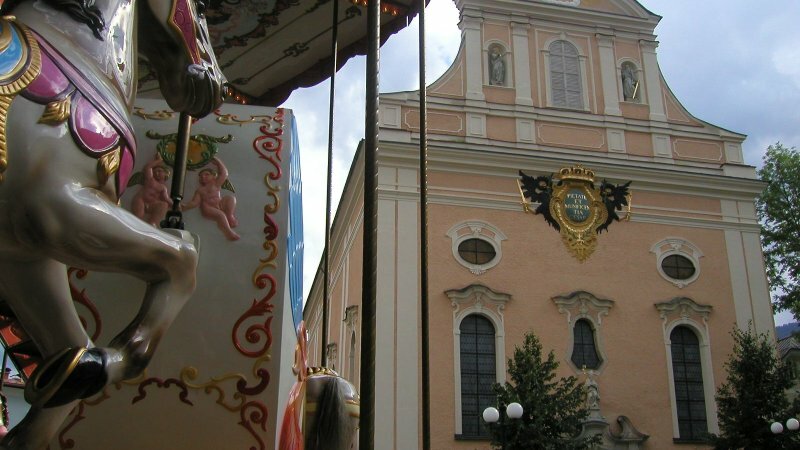 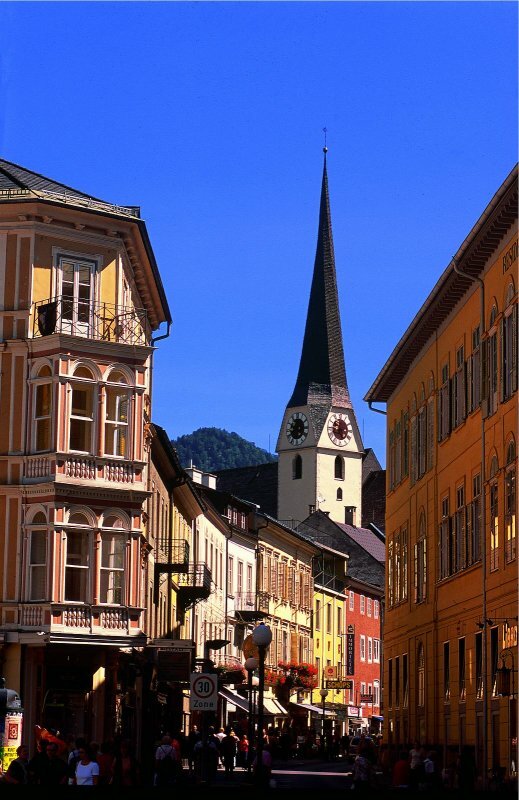 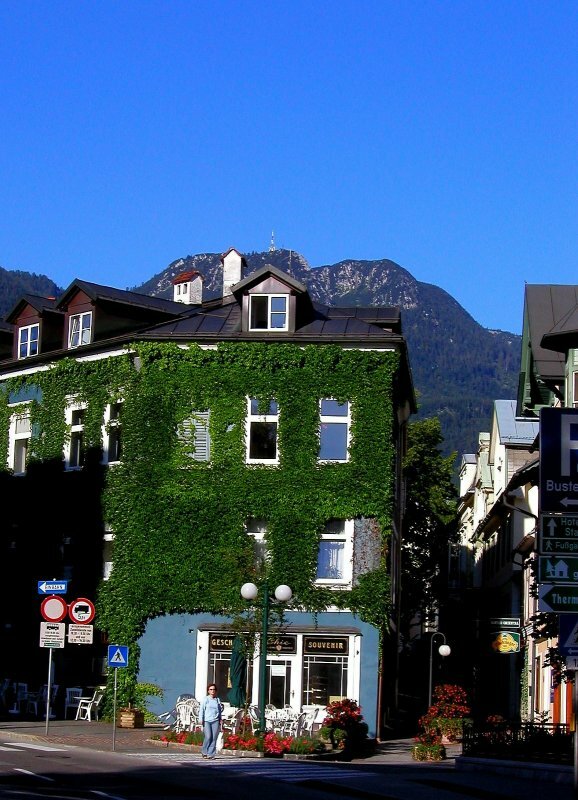 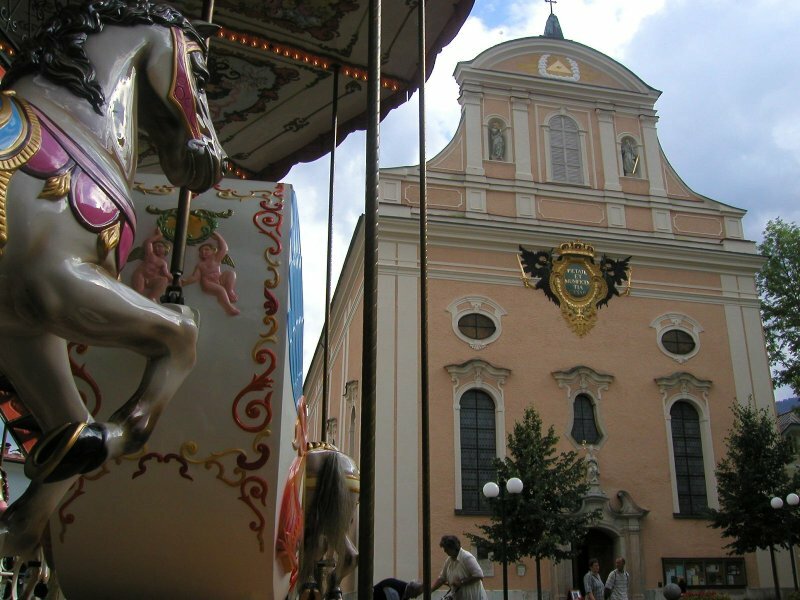 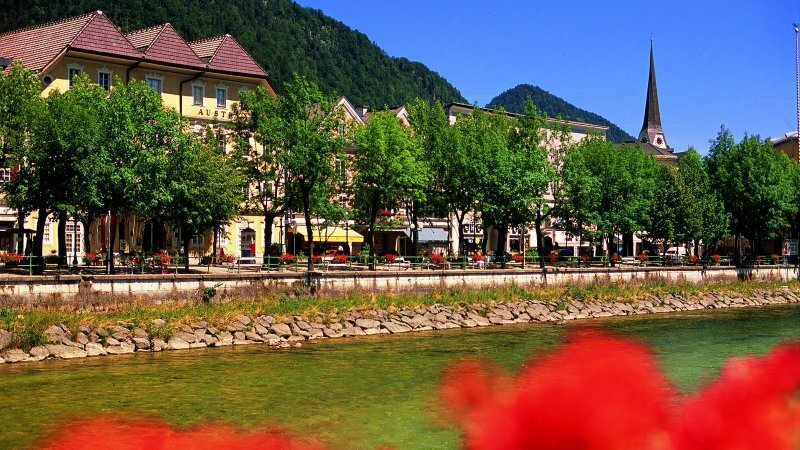 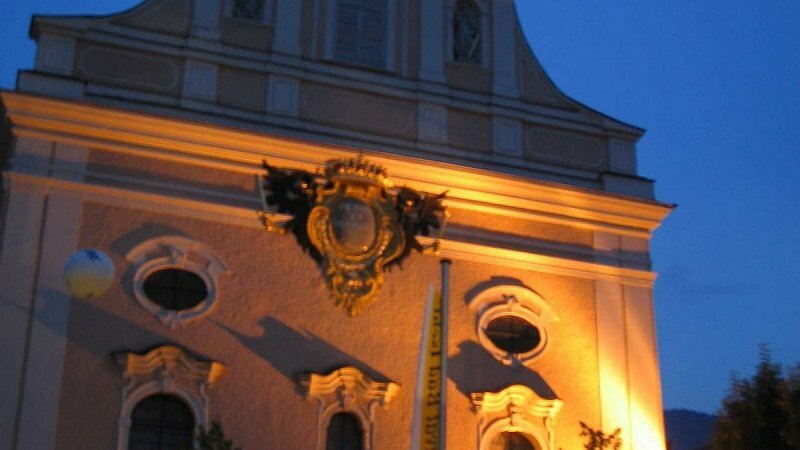 An entertaining city tour through Bad Ischl on the heels of the emperor, artists and company sprinkled with stories and anecdotes surrounding Austrian food culture. 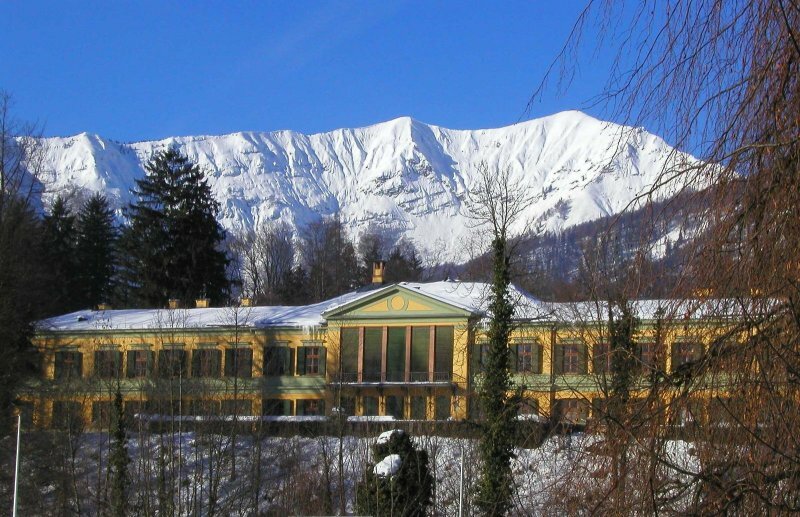 If you come to Ischl today, it's hard not to make a comparison with the imperial Vienna. 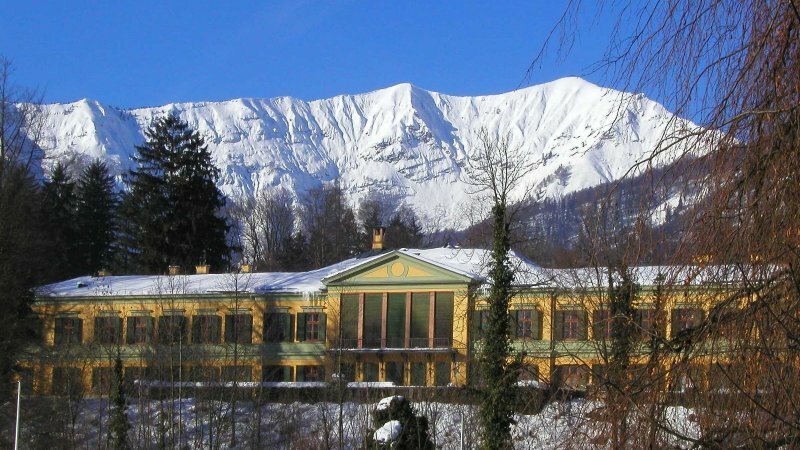 As of 1848, Ischl served as the imperial summer residence and the center of courtly festivals. 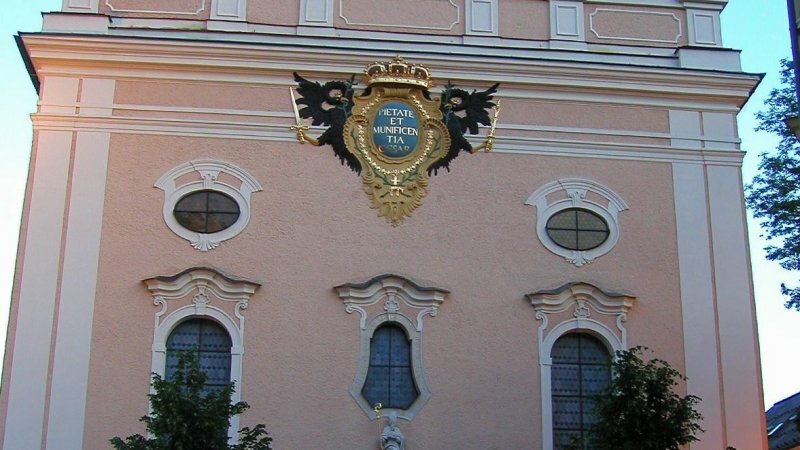 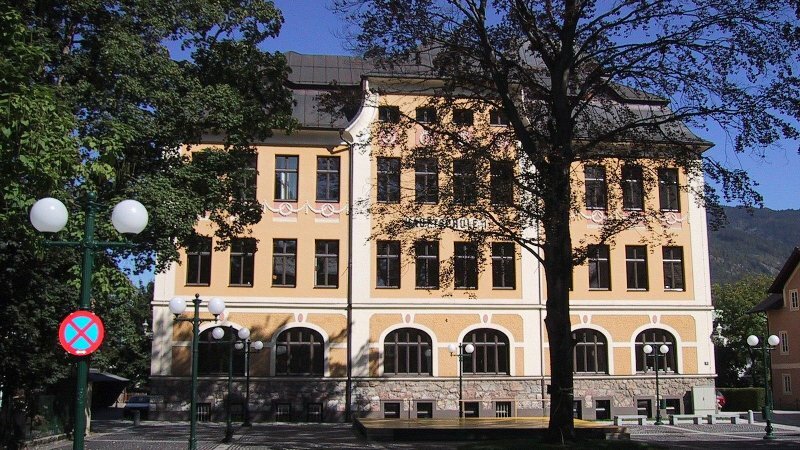 High nobility, prominent politicians, and artists of literature, painting and music all gathered here. 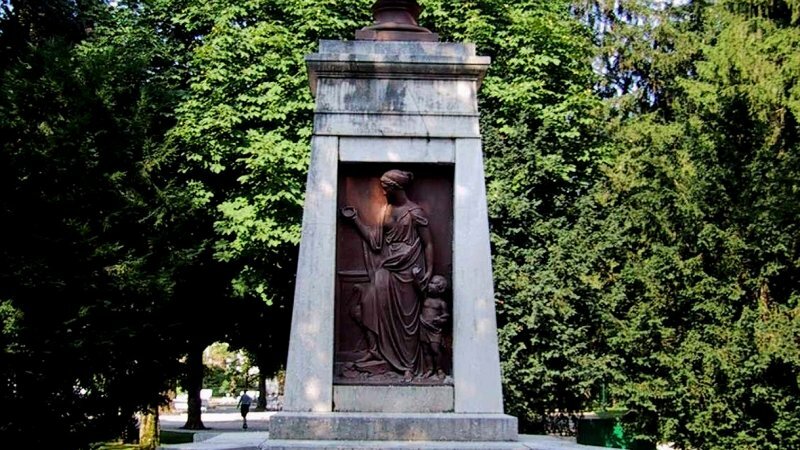 Arthur Schnitzer, Alfred Nobel, Johann Nestroy, Karl Kraus, Adalbert Stifter, Ferdinand Waldmüller, Johannes Brahms, Anton Bruckner, Johann Strauß, Franz Lehár, and last but definitely not least Emperor Franz Josef I. and Empress Elisabeth lead a sheer endless list of those personalities who were searching for inspiration and relaxation, and some of whom even built their own Villas here. 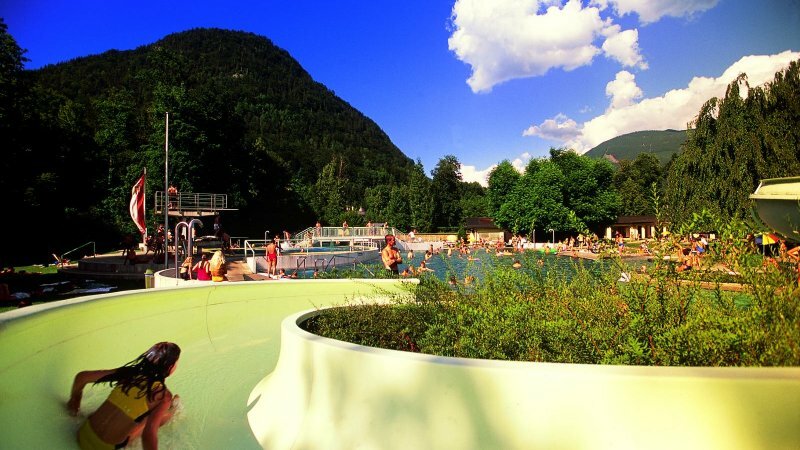 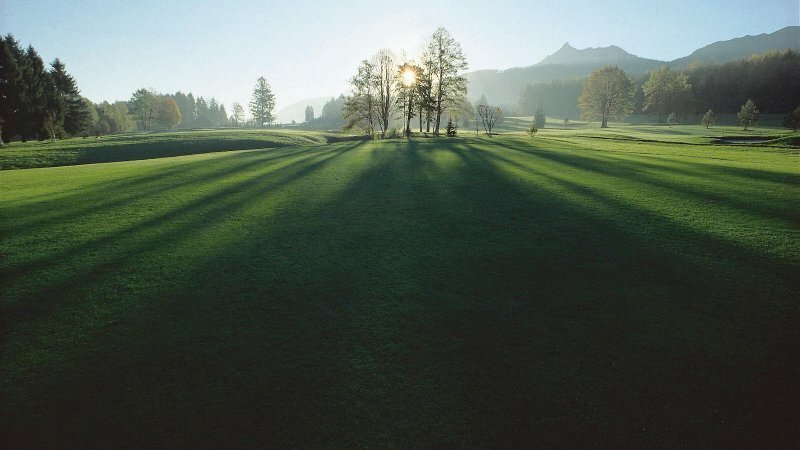 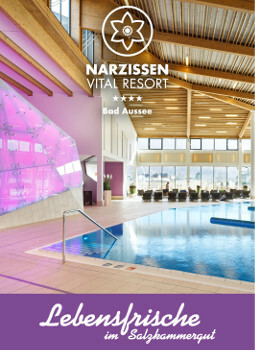 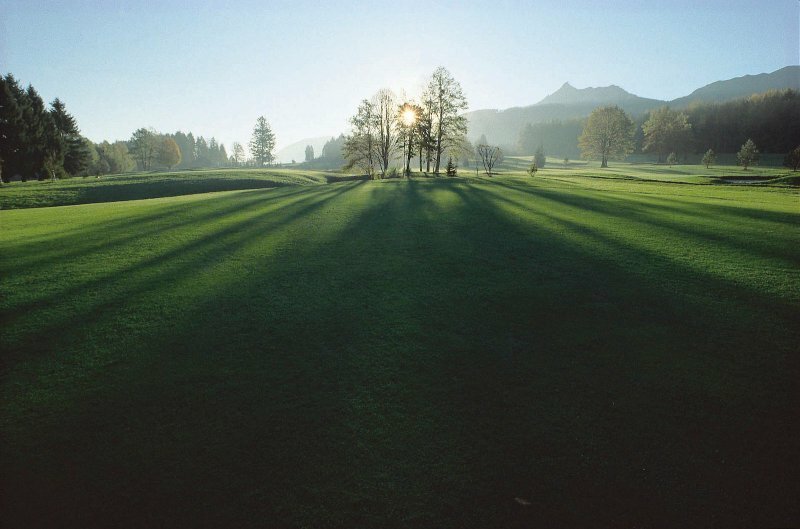 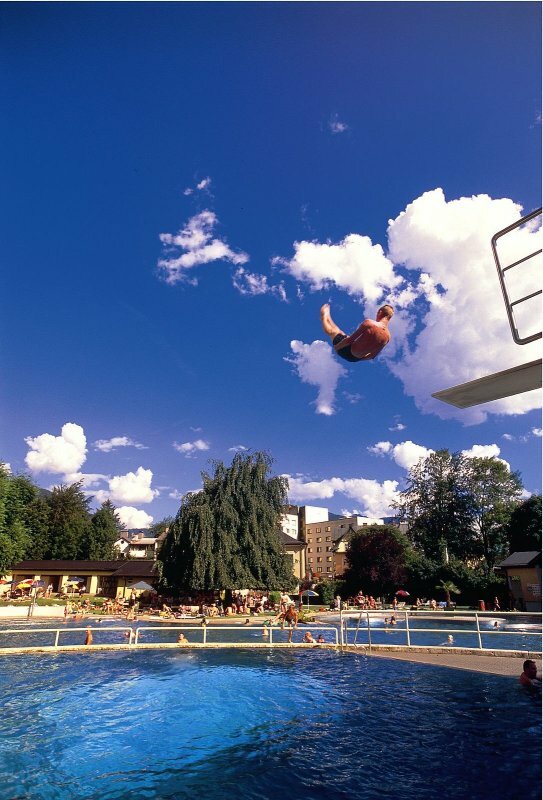 In summer, the “emperor city” offers not only an oasis for recreation in the various first class spa hotels and thermal baths including diverse offers to feel good and unwind but also a great selection of activities in the beautiful nature of the Salzkammergut area. 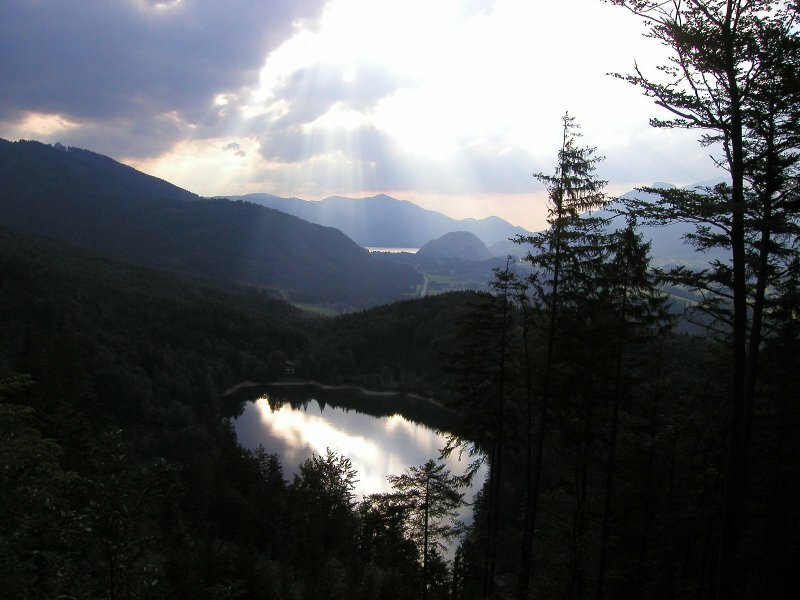 The Katrin railway is the perfect starting point for unique nature experiences, such as the 7-lake tour offering splendid views of the surrounding crystal-clear lakes. 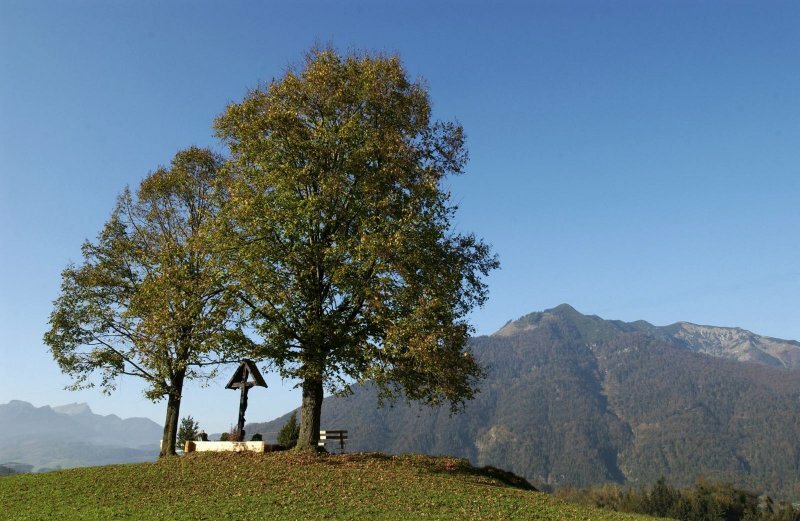 Furthermore, the 3-summit tour is very popular as the path leads via the historic Franz-Joseph Cross across three summits through stunning surroundings. 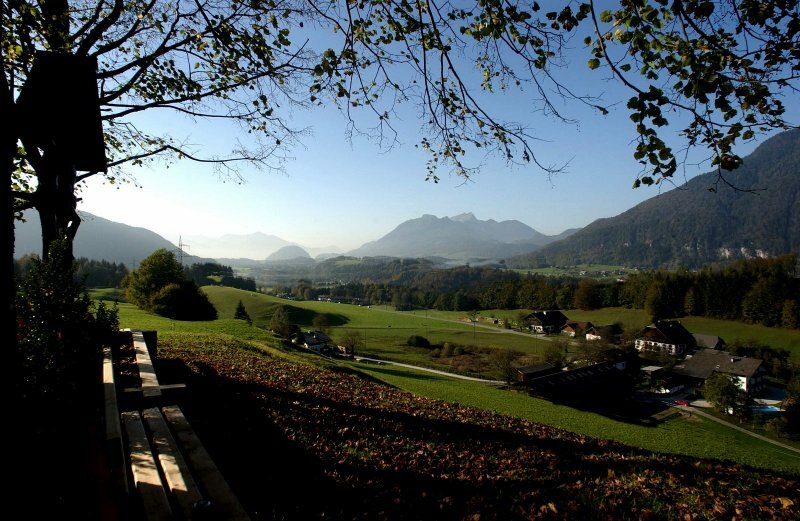 Convivial and traditional pasture huts with their sun terraces ensure pleasure and relaxation when you need to take a rest. 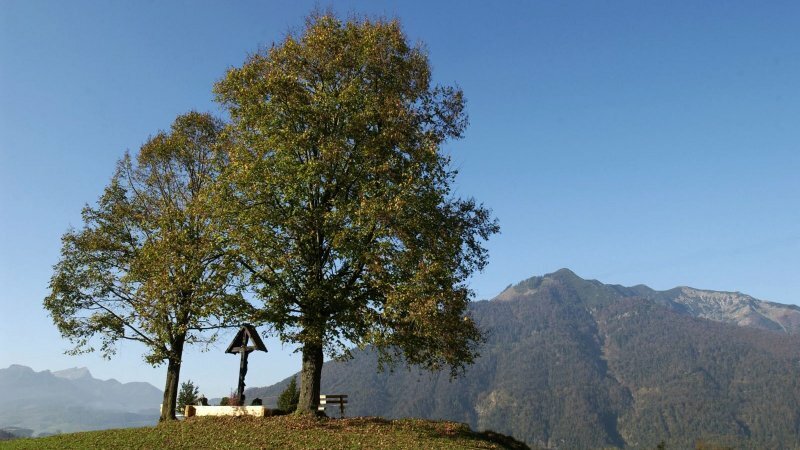 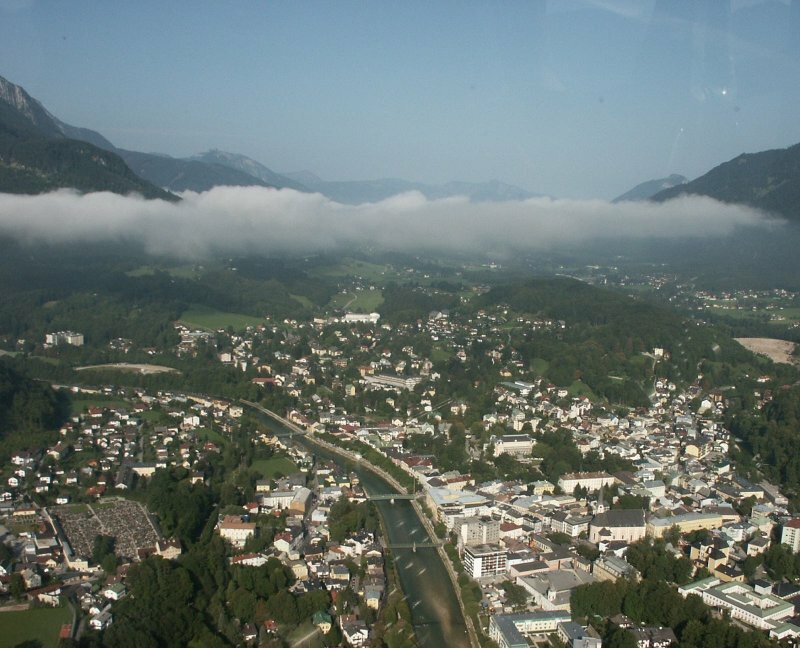 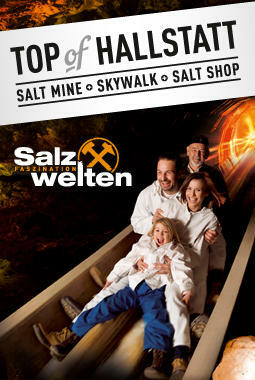 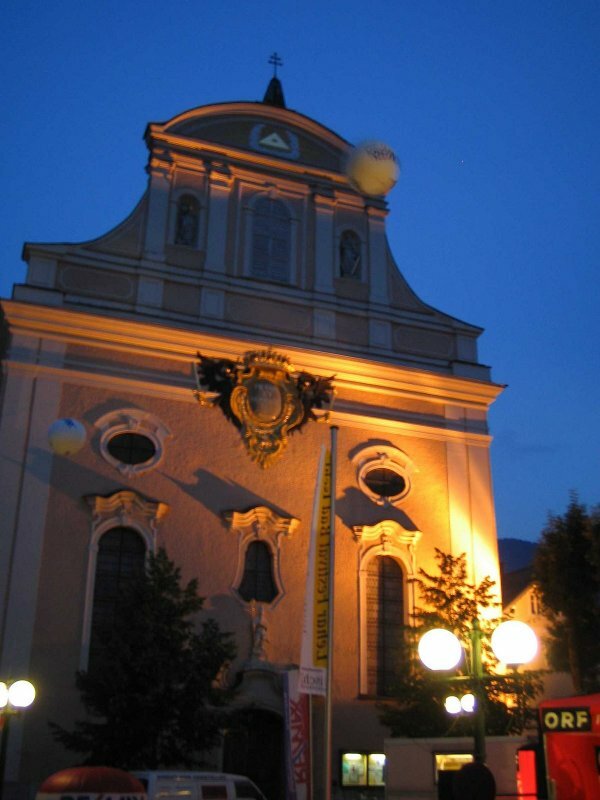 Another great attraction in Bad Ischl is the Siriuskogl peak, also known as Hundskogl peak. 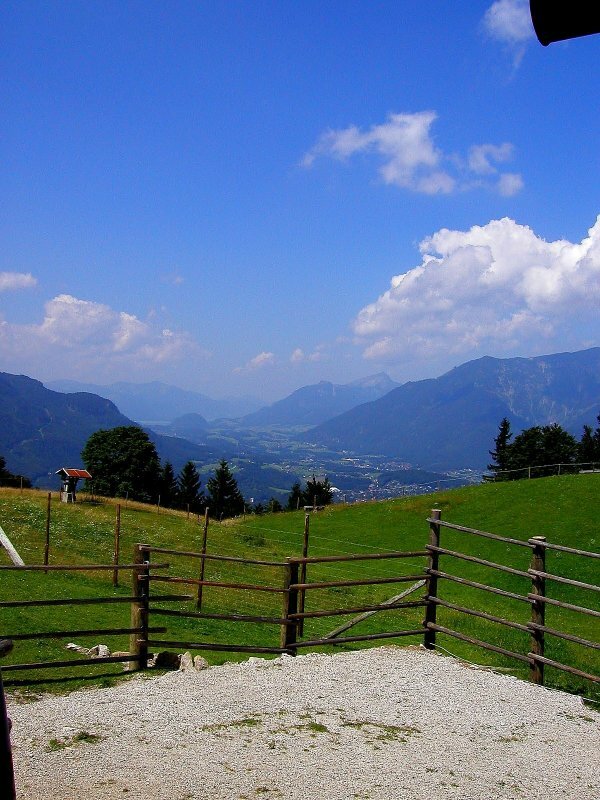 A beautiful walking paths takes you to a cozy inn which offers regional delights and a picturesque panorama. 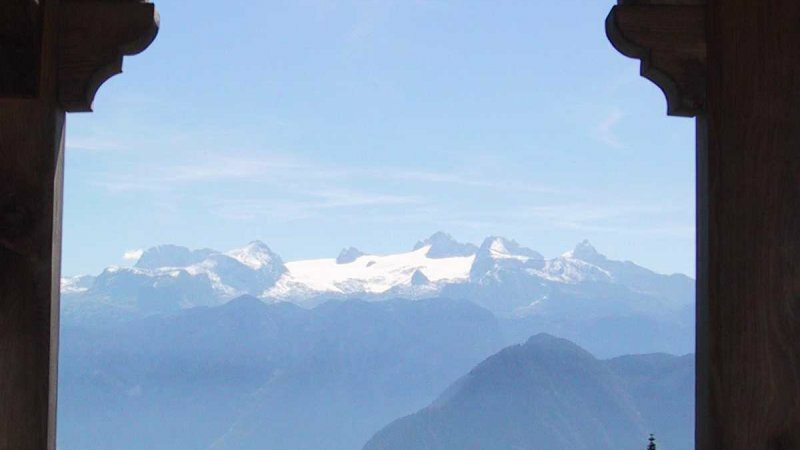 If you prefer to discover the magnificent landscape on climbing tours, then the Katrin via ferrata is the perfect choice. 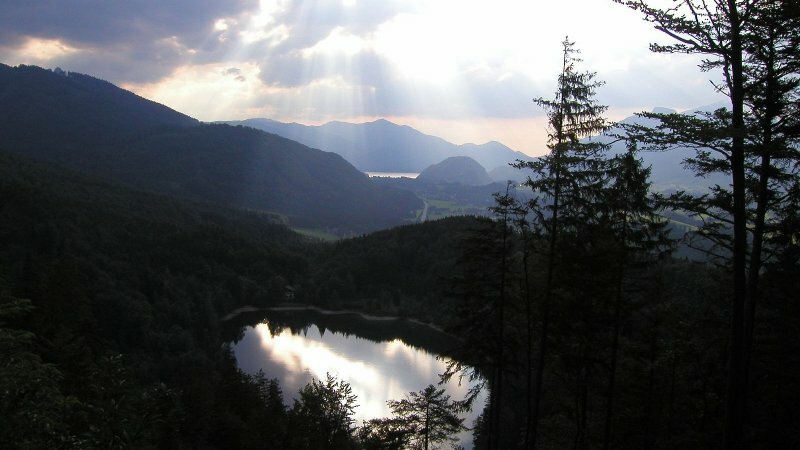 Enjoy the stunning views of five glittering lakes in the surroundings as well as the health resort. 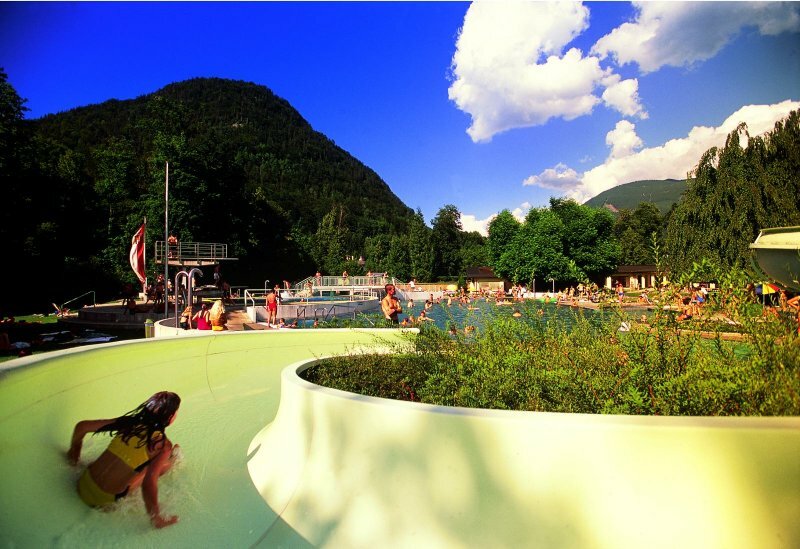 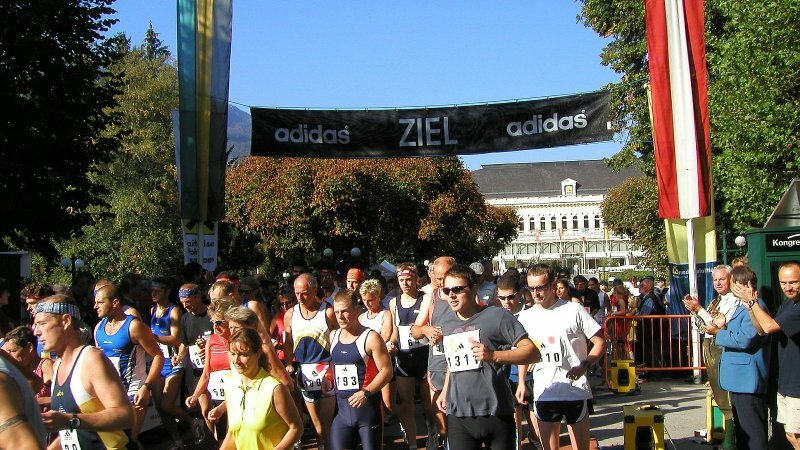 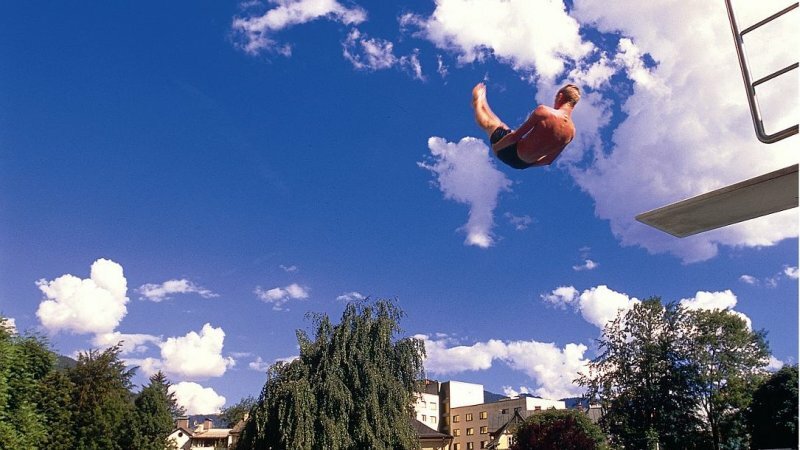 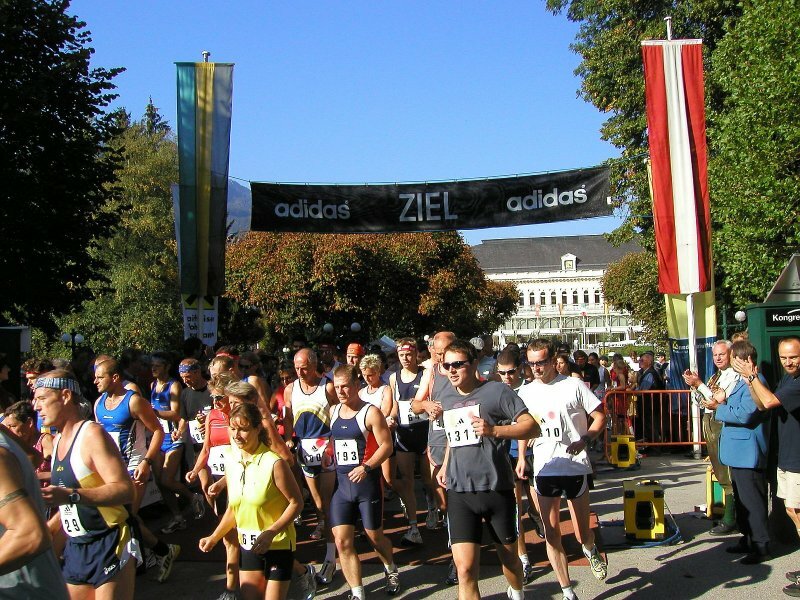 Furthermore, there are numerous mountain bike routes, tennis courts, Nordic Walking tracks and a lot more – therefore, a diverse program is guaranteed during your summer holidays in Bad Ischl. 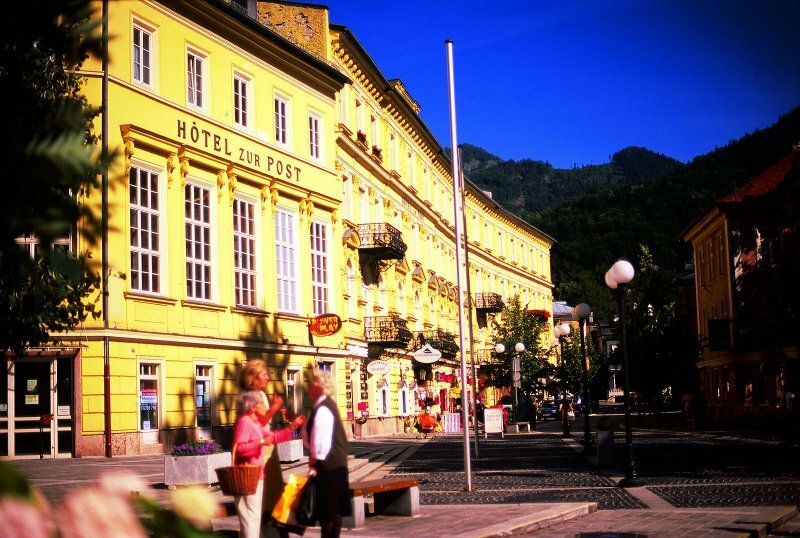 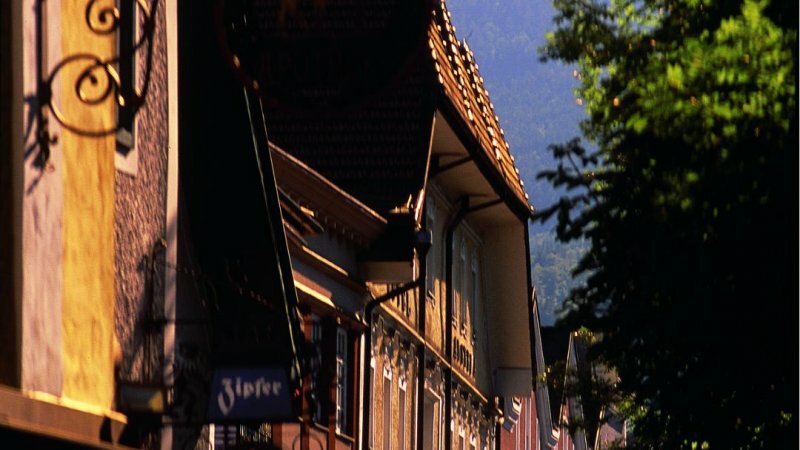 In winter, Bad Ischl turns into a small winter paradise with a lot of old, traditional buildings. 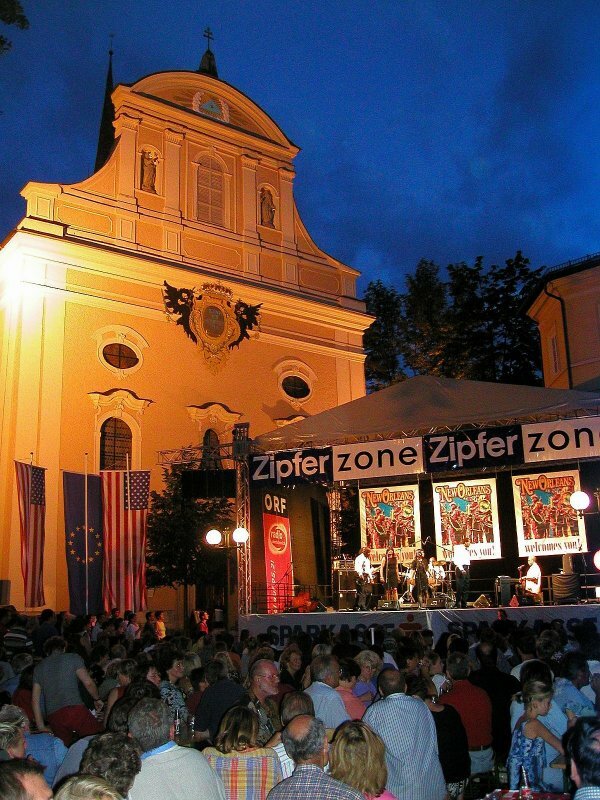 In the center of the village, there is an ice-skating rink every year, which guarantees a great atmosphere along with fun and pleasures for young and old. 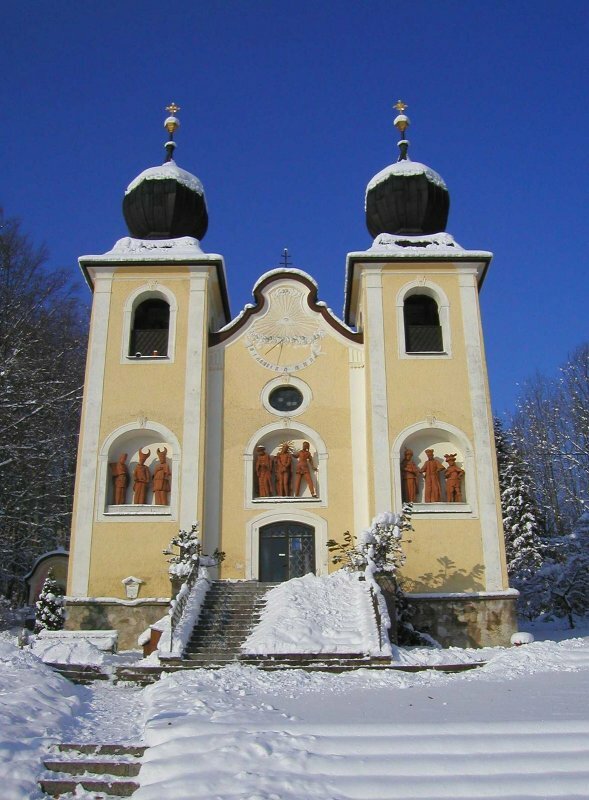 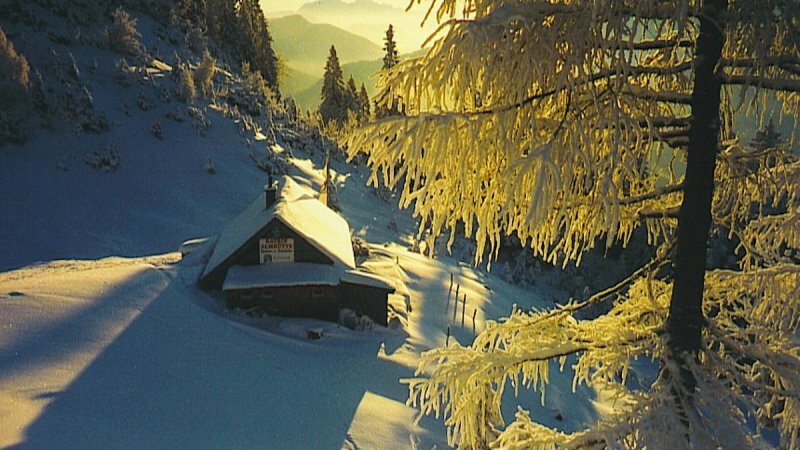 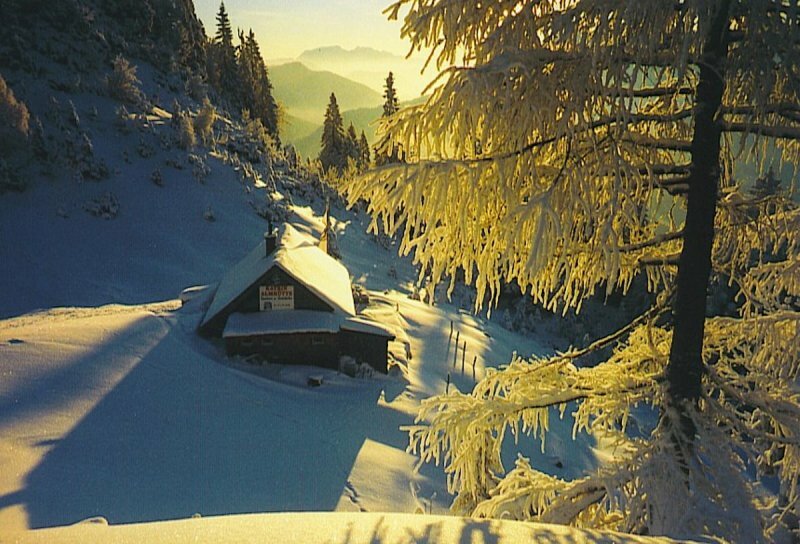 Cross-country skiers on holidays in Bad Ischl can discover great snow-covered tracks in the Salzkammergut area. 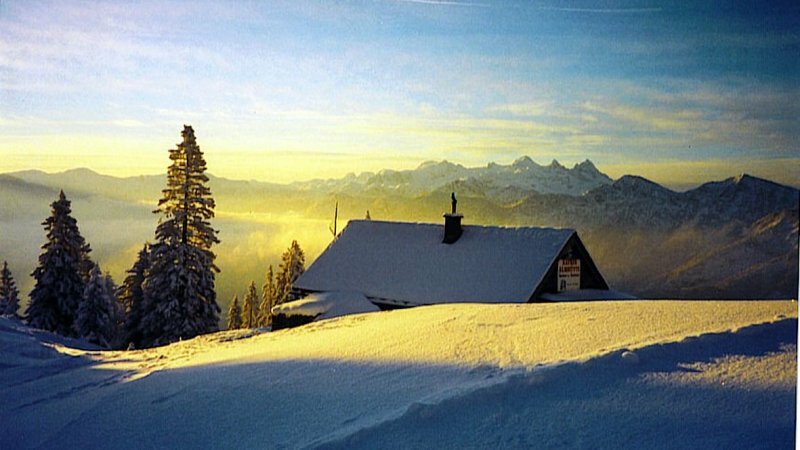 Furthermore, you have the possibility of getting to know the quiet and untouched nature with snowshoes on various winter waking tracks. 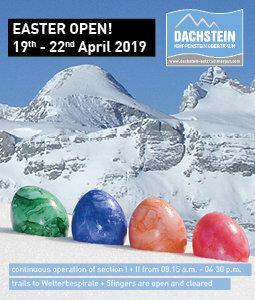 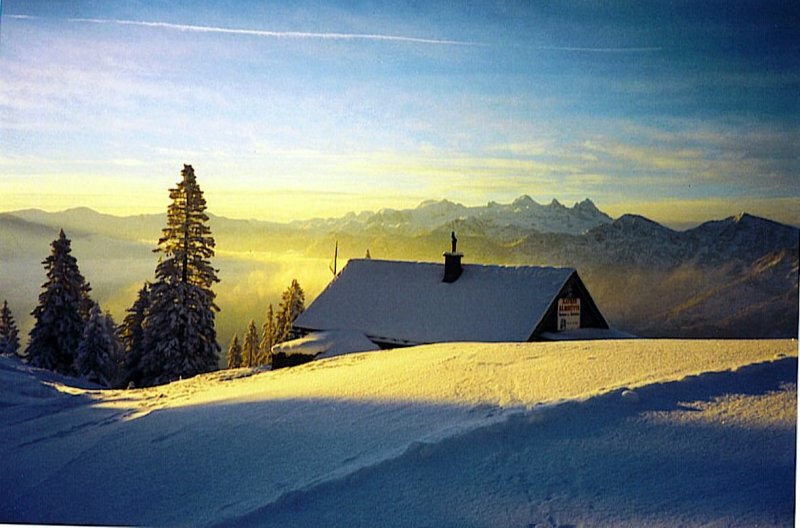 Some great ski resorts are within easy reach, such as the Dachstein West skiing area, the Loser and Feuerkogel ski resorts.